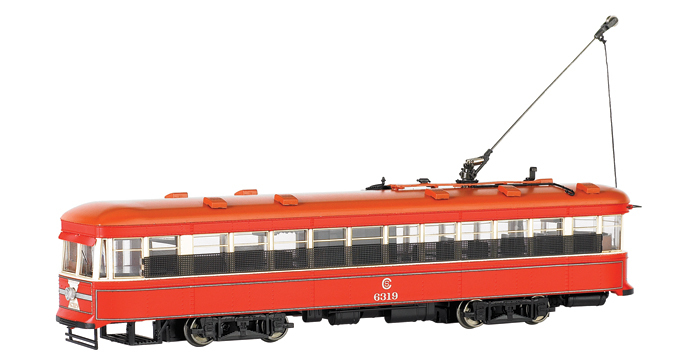 Bachmann Europe Plc has re-released its Brassworks Class 122 diesel railcar in O gauge. 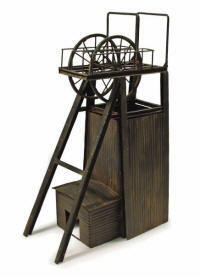 The model was first produced in unpainted brass in 1999 but has now been upgraded. Twenty units plus nine non-powered driving trailers were built in 1958 by the Gloucester Railway Carriage & Wagon company and had much in common with the Class 119 two car units built by the same company. They were used initially on the former Western Region branches around London and the Midlands. Some later saw service on the Scottish and London Midland regions. The first unit was withdrawn in 1969 with several units being converted for parcels use (first three as Class 131 in 1968 for use in Scotland). All were later transferred into departmental use or withdrawn, the last surviving until 1994. 6 units have been preserved for use on heritage railways with one unit remaining operational with Network Rail on Sandite duties. The new Bachmann Brassworks model comes factory painted but requires glazing, interior detail and transfers to complete (not supplied). The body can be removed from the chassis by removing the small screws fitted to the bottom of the body into the chassis. The green version (BW325) is now available at a recommended retail price of £510.00. The blue version (BW326) will follow shortly. Further details are available from Bachmann dealers. The Bachmann Collectors’ Club OO gauge limited edition Class 37 locomotive No.37411’Caerphilly Castle / Castell Caerfifili’ (Catalogue No 32-375K) has now sold out. The locomotive was named at a ceremony in Caerphilly by Arriva Trains Wales on 28th November 2005. The limited edition locomotive was offered to Bachmann Collectors’ Club members in the Autumn Collectors’ Club magazine published a month ago. 504 models were released and each carried a numbered certificate. The last remaining twenty models of the Jubilee Class ‘Kolhapur’ locomotives have also sold out. This locomotive was offered in the Spring 2008 issue of the magazine. Bachmann Europe Plc has announced at the Gauge O Guild Convention at Telford last weekend, that its next Gauge O locomotive will be a Collett 2251 Class 0-6-0 tender locomotive. One hundred and twenty Class 2251 0-6-0 tender locomotives were built by the Great Western Railway at Swindon between March 1930 and January 1948, with the last two locomotives not being delivered until after Nationalisation. They were used mainly for pick up goods trains operating on main lines where wagons were delivered and collected at each station. They were also used on cross-country and branch freight and passenger trains. The first of the class was withdrawn in December 1958 and the last in June 1965. One locomotive No. 3205 has been preserved. The locomotive will be supplied with two tender options. Further details regarding this locomotive will be released in due course. 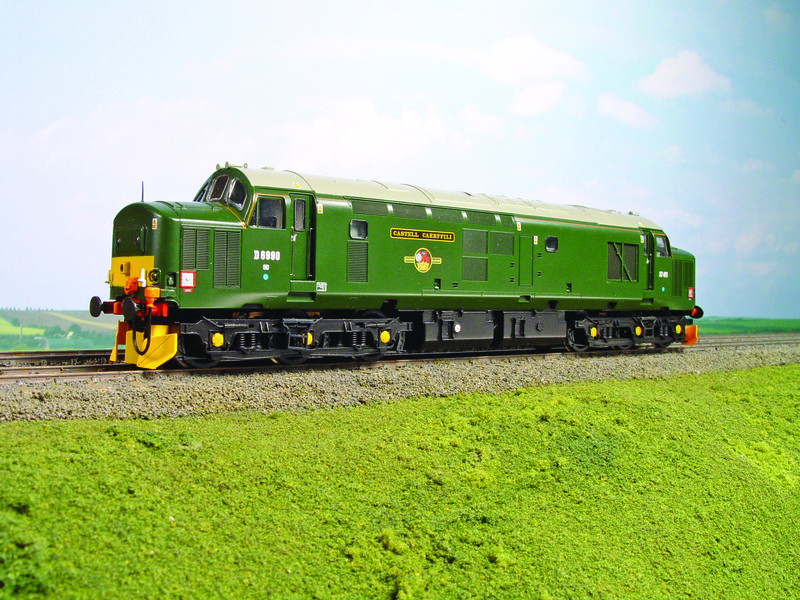 The first of the new Graham Farish N gauge Class 42 ‘Warship’ diesels (catalogue number 371-600) has sailed in to Barwell and is now being distributed to Bachmann and Graham Farish dealers. Thirty-eight diesel hydraulic locomotives were built at Swindon between 1958 and 1961 for use on Western Region services to and from London Paddington. All carried the names of Royal Navy warships and had a top speed of 90 mph. Although primarily used for passenger workings, they also appeared on parcels and freight trains. In later life they also worked on the Southern Region passenger trains between London Waterloo and Exeter. The first was withdrawn in 1968 and the last in December 1972. Two locomotives have been preserved. The models are to the new ‘Blue Riband’ standard, have working headcode lights, NEM coupling pocket, detailing pack (with spare bogie moulding for use with detailing pack) and a 6PIN DCC socket. Each model has a recommended retail price of £79.20. The London & North Western Railway G2a Class locomotive is ready for traffic. These locomotives are better known as Super D’s and two versions have been despatched from Barwell to Bachmann dealers today (31-475 and 31-476). The building of the first London & North Western 0-8-0 locomotive commenced in 1892 to Webb’s design and a total of 509 locomotives went on to be built with modifications under the leadership of Whale, Bowen-Cooke and Beames. Further modifications were carried out under Hughes and Stanier. Initially conceived as a three cylinder compound they were followed by four cylinder versions after which Whale set about converting them to two cylinder simple engines. Whilst some locomotives retained the original boiler, others were fitted with the G Class boiler. Beginning in 1912 a superheated boiler was introduced. The last development of the 0-8-0s was the introduction of the G2 Class in 1921 to the design of Charles J. Bowen-Cooke, though the order was placed under the tenure of Captain H.P.M. Beames, who succeeded Bowen-Cooke as Chief Mechanical Engineer. The G2 ‘s were introduced between November 1921 and October 1922 and were a development of the earlier G1 Class. During their careers the locomotives received a Belpaire firebox to replace the round top design they received initially. The locomotives worked all over the former London & North Western sections of the LMS and later British Railways. They were particularly useful pulling heavy freight trains on steeply graded routes including Shap and routes in Central and South Wales. Indeed the Class could be found from Abergavenny to Carlisle and just about everywhere else in between. The first locomotives were withdrawn in 1947, with 478 locomotives passing into British Railways ownership the following year. With the introduction of diesels after 1955, major withdrawals commenced. The last of the class was withdrawn in 1964. One locomotive number 49395 was preserved and forms part of the National Collection. It has recently undergone a major overhaul at Pete Waterman’s Crewe works.Three models are being produced. Those despatched today are No. 49395 in BR black with early crest and tender cab (31-475) and No. 9449 in LMS black without tender back cab (31-476). The third version No. 49361 in BR black with late crest (31-477DC) with DCC ON BOARD will be despatched later. The recommended retail price will be £90.25 (DCC ON BOARD version £102.85). Bachmann Europe Plc have today released Ernie 1, the self-propelled inspection vehicle used by Ernie on the International Underground network. Ernie 1 (UE206) is now available at a recommended retail price of £19.95. The motorised unit includes a working headlight, which can be switched on and off by moving the switch in the tool compartment and has an 8PIN decoder socket fitted. 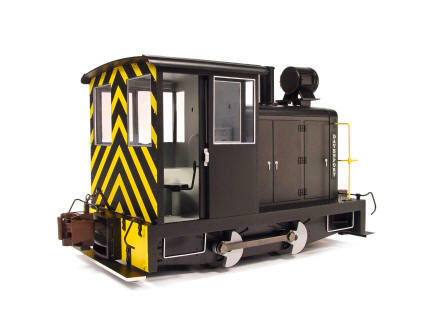 This model as well as serving its role as part of the Underground Ernie range of models for which Bachmann Europe Plc has the world wide license for producing electric model trains, this particular item has generated considerable interest amongst narrow gauge and tramway modellers. 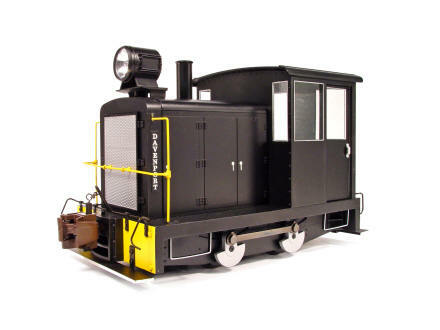 Graham Hubbard, Managing Director of Bachmann Europe Plc said “Ernie 1 provides a really cost effective item of motive power for O16.5 narrow gauge models, whilst the power bogie has been eagerly awaited by tramway modellers. We look forward to seeing some interesting conversion articles in the model railway press over the coming months. Underground Ernie fans have also been keen to get their hands on this item, which includes Ernie in the drivers cab”. Bachmann Europe PLC today began distributing the Scenecraft N gauge range of buildings to its dealers. These will be available from dealers early next week. 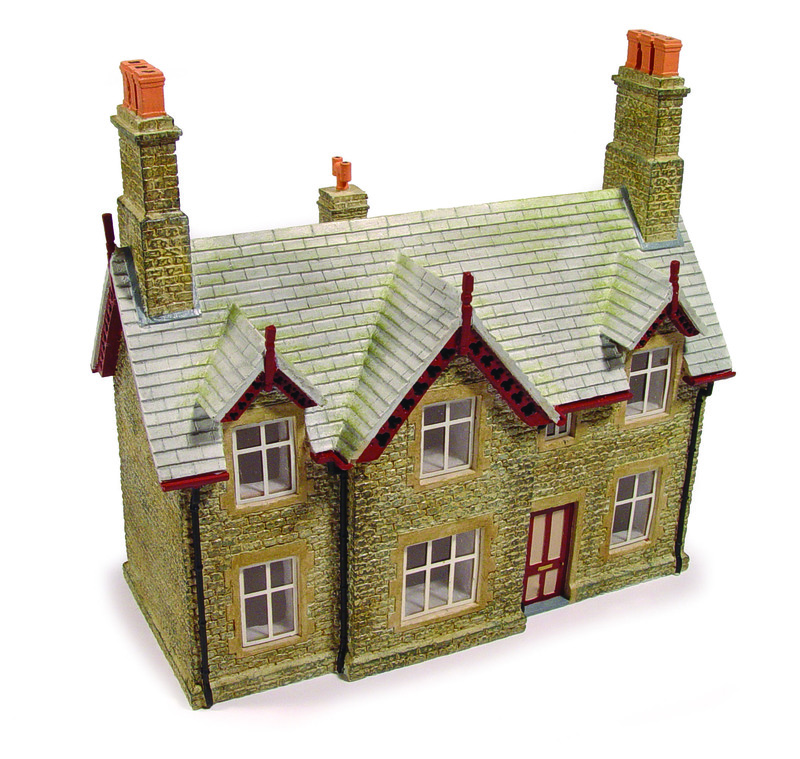 The buildings have been produced in resin to a very high standard and include a number of railway lineside buildings and those from urban and industrial settings. All buildings are delivered ready painted and in some cases weathered and range from a recommended retail price of £6.55 to £19.35. Bachmann America announced a programme of new models at The NMRA National Train Show in Anaheim, California last week. The items will all be released during the last quarter of this year. These models will be available through Bachmann dealers in the UK. Bachmann Europe PLC has issued this press statement following a review of the Farish Stanier coaches appearing in the model railway press and the suggested method of gaining access to the interiors. The reviewer suggested removal of the roof as the way to do this and this is not the case. If the roof is removed you have to undo the roof pipes which will be almost impossible to reconnect afterwards. The body should be removed by gently easing the sides away from the chassis allowing the clips to give way and remove the chassis as a complete unit. Once this is done it easy to fit passengers/decorate the interior and very simple to re-assemble. A number of requests have been received since the Open Day for the dimensions of the new Scenecraft buildings. Below is a table including some of the dimensions. Bachmann Europe have begun distributing a range of OO road vehicles under the Scenecraft name which have been produced in conjunction with Base Toys. Bachmann Europe PLC today announced at its Annual Trade Open Days that the Scenecraft range is being extended to include motor vehicles in N gauge. The vehicles are delivered fully finished and have a recommended retail price of £4.85 for a pack of two cars. Bachmann Europe PLC today announced the next tranche of OO Scenecraft buildings at its Annual Trade Open Day. Development work on the buildings is well underway with delivery expected later this year. 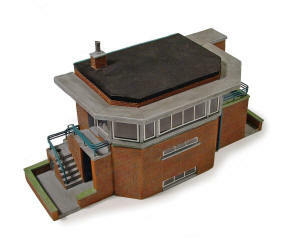 The buildings have been produced in resin to a very high standard and include a number of railway lineside buildings and those from urban and industrial settings. All buildings are delivered ready painted and in some cases weathered and range from £12.95 to £54.95. Bachmann Europe PLC displayed a OO gauge Peppercorn A2 Class locomotive at its Annual Trade Open Days held at it’s Barwell HQ today. The London & North Eastern Railway (LNER) built the first locomotive to the design of A.H. Peppercorn in 1947. A further 14 locomotives were completed by British Railways in 1948. Used on secondary express passenger duties on the East Coast Main Line between Peterborough and Aberdeen. These locomotives were particularly useful on lines with steep gradients and sharp curves such as the Dundee – Aberdeen and Edinburgh – Carlisle (Waverley Route). The first locomotive was withdrawn in 1962 and the last in 1966. One locomotive (No. 60532 ‘Blue Peter’) has been preserved and is currently being overhauled. Although Bachmann inherited the old Trix /Liliput tooling when it purchased the Liliput company in 1992, the tooling for the A2 was badly worn and could not be reintroduced. This model will encompass new locomotive tooling, the tender tooling for which already exists. Further details will be announced in due course with the models available during 2009. Bachmann Europe Plc unveiled the first samples of the previously unannounced Graham Farish Rebuilt Royal Scot locomotive at its Annual Trade Open Days held at its Barwell HQ. The locomotive has been under development for sometime and the model is expected to go on sale later this year. The Royal Scots were built shortly after Sir Henry Fowler became Chief Mechanical Engineer of the London, Midland & Scottish Railway. They were built in two batches with parallel boilers, the first fifty being built by the North British Locomotive Company in Glasgow in 1927 and the remaining twenty being built in 1930 at Derby Works. When the experimental high pressure compound (No. 6339 ‘Fury’) was rebuilt as with a No.2 tapered boiler and became a member of the Royal Scot Class and the first of the rebuilt locomotives in November 1935 bringing the class total to 71. The whole class was subsequently rebuilt to Sir William Stanier’s design between 1943 and 1955. The first was withdrawn in October 1962 and the last in January 1966. Two locomotives have been preserved. The new Rebuilt Royal Scot will be available from Farish dealers late this year. The Recommended Retail Price will be £97.15. Bachmann Europe Plc unveiled the first samples of the previously announced Graham Farish OCA 31 Tonne drop-sided open wagons and JGA hopper wagons at its Annual Trade Open Days held at it’s Barwell HQ today. The OCA wagon is a metal-sided version of the OBA (already available in the Farish range) and is used for the conveyance of materials to and from engineering works sites. To assist with loading and unloading it has three sets of drop doors on each side. Almost 400 wagons of this type were built at the former BREL works in Shildon, Co. Durham between 1981-1982. The model will be available in three different liveries namely Departmental Dutch (377-550), Railfreight red (377-551) and EWS (377-552). These will retail at £10.25 each. The JGA bogie covered hopper wagon is used for the conveyance of a multitude of commodities including aggregates, limestone, potash, rock salt and stone. The model will be available in three different liveries representing RMC (377-100), Buxton Lime Industries (377-101) and Tarmac (377-102). The model will retail at £17.75. 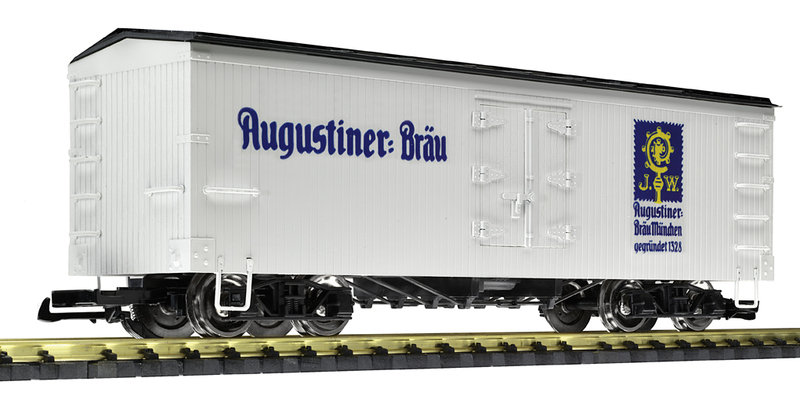 Both wagon types will be available from Bachmann dealers late this year. 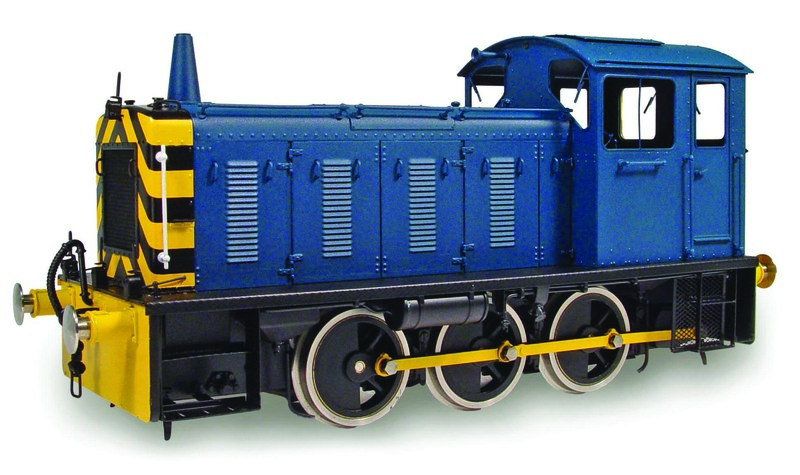 Bachmann America has released a new G Scale locomotive in the form of the Davenport 0-4-0 Gas Mechanical shunter. Faced with unprecedented economic pressure at the end of the steam era in America, locomotive manufacturers developed a variety of fuel and engine alternatives in search of a locomotive that could compete in the industrial market. One such locomotive was the Davenport 0-4-0 gas mechanical shunting locomotive. This locomotive is now available through specialist garden railway retailers or can be ordered through any Bachmann dealer. The Recommended Retail Price is £158.60. 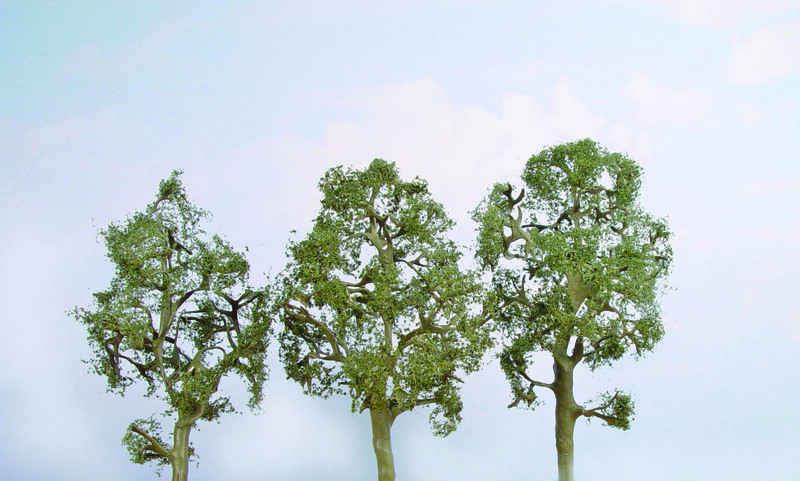 Bachmann Europe Plc has today (30 June 2008) commenced distribution of the outstanding OO gauge Scenecraft buildings announced last year. This completes the initial programme of OO releases with the N gauge items due later this year. 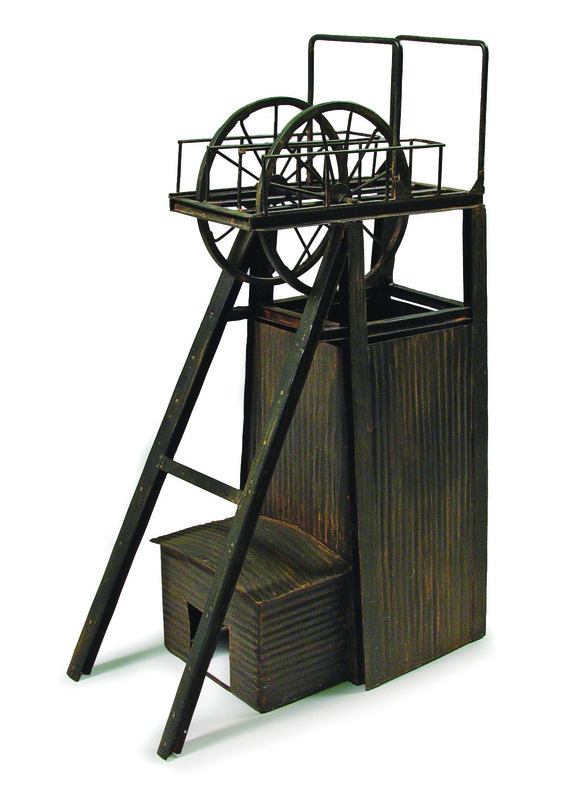 New items include the Provender Store, signal box, modern office block and extension, platelayers hut and a range of buildings for a colliery including the pit head lift. The Bachmann Collectors’ Club part of Bachmann Europe Plc will be attending The Train Collectors Society Exhibition this weekend. The Bachmann Collectors Club is again sponsoring the 2008 event, which has the largest single gathering of historical operating layouts under one roof in the UK. The 2008 event is to be held in Sandy, Bedfordshire on Saturday July 5th and Sunday July 6th 2008 and brings together train collectors of all marques. Since it was established in 1999 it has become the leading exhibition of its type in the UK. Encompassing a wide range of models produced over the past 100 years or so, the exhibition features operating vintage layouts in all scales, specialist traders and is supported by leading collectors clubs including those devoted to Bassett – Lowke, Hornby, Kitmaster, Tri-ang, Trix Twin and Wrenn. Dennis Lovett, Public Relations Manager for Bachmann Europe Plc said “we are delighted to support the 2008 event, our second year of sponsoring this premier collecting event. This exhibition provides the opportunity to see all the famous names of model railways under the same roof and is attracts people from far and wide. The Bachmann Collectors’ Club stand will again feature operating layouts and will display the latest products to visitors”. The event is open on Saturday 4 July from 1030 until 1700 and on Sunday 5 July from 1030 to 1600. There will be 30+ layouts and some 20+ trade stands. Sandy station is served by First Capital Connect services from both London Kings Cross and Peterborough, which offers connecting services to many other parts of the country. The Train Collectors Society offer a free vintage bus link between the station and the venue. The venue, Sandy Upper School offers substantial free parking and Sandy is adjacent to the A1 trunk road. 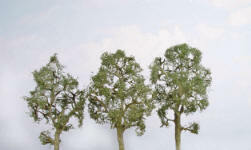 Bachmann Europe Plc has today (30 June 2008) begun distribution of a new range of trees under the Scenescape brand. 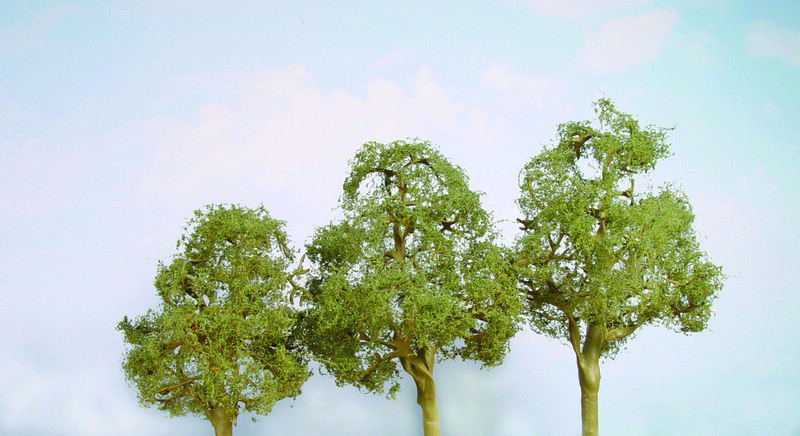 A wide range of trees is available in varying heights for model railway layouts across all scales. Scenescape trees are available from Bachmann dealers and range in price from £4.40 to £9.99. The Bachmann Collectors’ Club handed over a cheque to Mrs Betty Beet for £2520 towards the fund which will eventually return Ivatt 2MT No. 46441 to steam. The amount was raised from the 504 limited edition models representing a £5 donation for every locomotive sold. Produced in November 2007 exclusively for the Bachmann Collectors’ Club the limited edition model depicted the locomotive in its current maroon livery. The ceremony took place during the Bachmann Collectors’ Club members day held on Sunday 8 June at the Ribble Steam Railway in Preston, where No. 46441 is located under cover in the impressive Museum building of the Ribble Steam Railway. The locomotive, although in excellent external condition, requires a major overhaul before it can steam again. Dennis Lovett, Public Relations Manager of Bachmann Europe said “members of the Bachmann Collectors’ Club eagerly snapped up all 504 of these limited edition models of No. 46441 in its current preserved condition. In return for the assistance and support of Mrs Beet, her son Chris and the Beet family, we wanted to make a small contribution towards the return to steam fund. Returning such an engine to main line operation is an expensive business and we are delighted to have played a small role in helping towards the total required”. The locomotive was purchased by the late Dr Peter Beet in April 1967 and was stored initially at Carnforth, from where it was withdrawn. Built in 1950, the locomotive had been allocated to Lancaster Green Ayre until the depot closed in 1966. It worked for many years on the East Lancashire Railway before moving to Preston for static display. Dr Beet was instrumental in saving a large number of locomotives, ensuring that Carnforth, BR’s last steam depot, was saved and securing what is now the Lakeside & Haverthwaite Railway in its early days. The Beet family own a number of locomotives including No. 5690 ‘Leander’, a German Class 01 pacific and a French 231K locomotive. 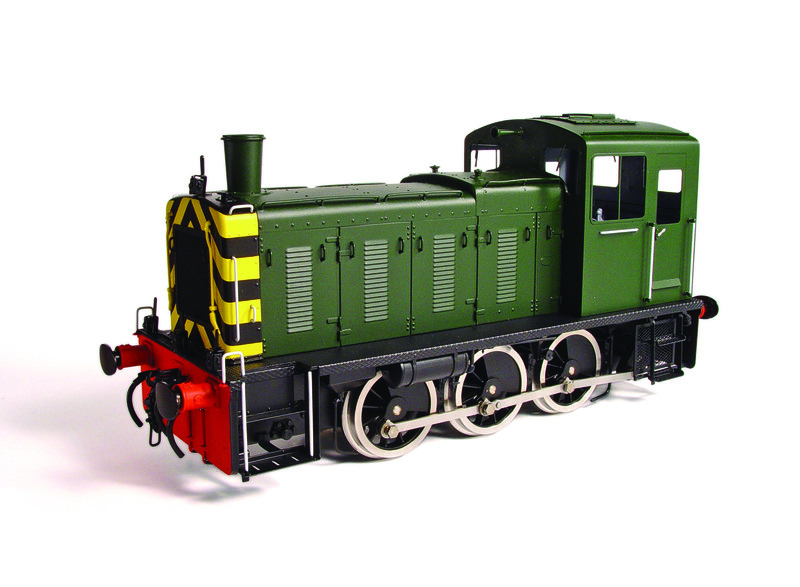 Bachmann Europe Plc has released its fifth Gauge 1 (1/32nd scale) Bachmann Brassworks locomotive, a British Railways Class 04 diesel shunter. The Vulcan Foundry and Robert, Stephenson & Hawthorn built a total of 140 locomotives of Drewry design between 1952 and 1962. Whilst the larger shunters such as the Class 08 were able to deal with most requirements, there existed in the 1950s a much larger network than today. Some of the docks, factories and other facilities served had lines with tight curvature and it was necessary to introduce smaller locomotives, which could work them. One such locomotive was the Class 04. Widespread closure of lines and the move away from wagonload working to block trains for freight resulted in much of the work being lost. The first locomotive was withdrawn in 1968, the last in 1972. Many went on to be sold to industrial users at home and in Italy. Eighteen examples have been preserved for use on heritage railways. 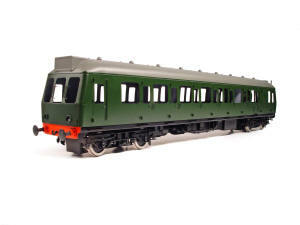 Bachmann Europe Plc has re-released its O gauge Brassworks Class 101 diesel multiple unit. The model was first released on to the market in 1999 as an unpainted brass model. The Class 101 was the most successful of the first generation diesel multiple units introduced by British Railways. A total of 153 two car, 54 three car and 38 four car units were by Metropolitan Cammell at Birmingham between 1956 and 1959. The last five units saw service around Manchester before being withdrawn on 24 December 2003. Over 40 vehicles have been preserved for use on Heritage Railways. 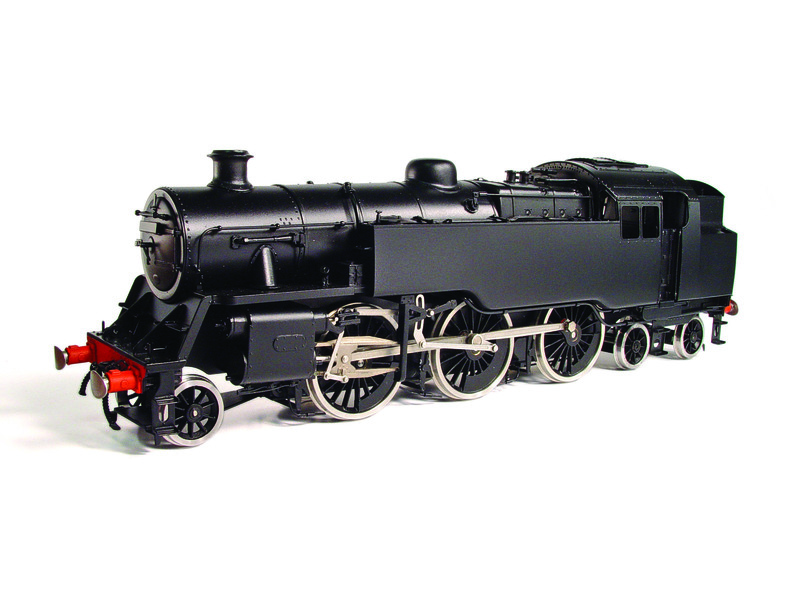 Bachmann Europe Plc has announced that its next Gauge 1 locomotive will be a Black 5 locomotive. The Class was introduced by the London, Midland & Scottish Railway to the design of Sir William Stanier in August 1934. A total of 842 locomotives were built, the last being completed in May 1951 by British Railways. A true mixed traffic locomotive they were used on passenger and freight trains from Bournemouth to the North of Scotland. Construction was divided between various railway workshops and those of the privately owned contractors including Vulcan Foundry and Armstrong Whitworth. The first locomotive was withdrawn in November 1961 with the last examples surviving in the North West until August 1968, when standard gauge steam traction came to an end on British Rail. 18 locomotives have been preserved. The Bachmann Brassworks Gauge 1 locomotives will be available in unlined painted black with either a Stanier 4000 gallon riveted tender (BW2001) or Stanier 4000 gallon flush sided tender (BW2002). Both models will be electrically powered and will have a Recommended Retail Price of £1200.00. Bachmann Europe Plc unveiled the first samples of the new Class 47 diesel locomotive at the N Gauge Society’s Annual General Meeting at Redhill today (17 May 2008). 512 Brush Type 4 locomotives were built between 1962 and 1967. The 2,580hp Co-Co locomotives operated over all British Rail regions and a number remain in service with current operators. A number have also been preserved for use on heritage railways. The new locomotives will replace the old Graham Farish model and will form part of the expanding Blue Riband range. Four versions will be released initially, two in BR two tone green and two in BR blue. The locomotives will be fitted with a 6PIN DCC decoder socket and will feature operational lights. David Haarhaus, Sales & Marketing Manager of Bachmann Europe Plc said today “the original Graham Farish Class 47 model was first released in 1981 and has been the best selling diesel locomotive in the range since then. Although we redesigned the chassis and released an upgraded version 2002, the model unveiled at Redhill is a completely new model and encompasses all the features that N gauge modellers expect of a 21st Century product”. 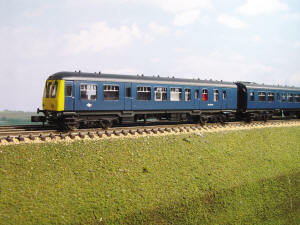 The Class 47 will be available from Farish dealers later this year. Bachmann Europe Plc surprised visitors to the N Gauge Society’s Annual General Meeting today (17 May 2008) by unveiling a newly tooled Class 08 diesel shunter with outside frames. This replaces the previous model that was withdrawn in 2007. The new Class 08 diesel shunters join the expanding Blue Riband range and meet the demands of N gauge modellers for a more accurate model to be released on to the market. All tooling has now been completed and the samples are being checked against original drawings. Graham Hubbard, Managing Director of Bachmann Europe Plc said today “ the Class 08 will be released to dealers later this year and once again underlines our commitment to produce N gauge models to the same high standards of our popular OO Branchline range”. Initially the new Class 08 will be released in BR blue, Railfreight Distribution and EWS liveries. The National Model Railroad Association (NMRA) has informed Bachmann Europe PLC that the Dynamis DCC Digital Control System (Version 1) has been issued with Conformance Warrant 2008-1004. Graham Hubbard, Managing Director, Bachmann Europe Plc said today “We are delighted that the Dynamis DCC system has received its NMRA Conformance Warrant. Dynamis was developed at Barwell in association with ESU our project partners. The issue of the warrant follows the rigid self certification process carried out by ESU and final checking and approval by the NMRA”. The Conformance Warrant will be formally added to the list published on the NMRA website in due course. The Keighley & Worth Valley Railway reopened to passenger traffic on 29 June 1968 and has become one of Britain’s leading heritage railways. As part of its 40th Anniversary celebrations, it has commissioned a limited edition run of 500 models of one its resident locomotives, WD No. 90733. No. 90733 was built for the British War Department by The Vulcan Foundry at Newton-le-Willows in January 1945. The 2-8-0 locomotive was shipped to the continent as the allies advanced and after the war was sold to the Netherlands State Railways (NS) where it became No.4464. It was sold to Swedish State Railways (SJ) in 1953 where it operated as No. 1931. It saw limited service in Sweden between 1954 and 1956. It was withdrawn and placed in store as part of the strategic reserve where it remained until 1972. Members of the Keighley & Worth Valley Railway examined No.1931 and purchased it, the locomotive being shipped to Hull before being unloaded at the railway in January 1973. A total of 935 WD 2-8-0 locomotives were built for the War Department between 1943 and 1945. After the war the London & North Eastern Railway purchased 200 of the same class from the War Department in 1946, whilst others were sold to overseas railway operators. On its formation British Railways purchased a further 533 of the class in 1948. Withdrawals in Britain commenced in 1959 and the final locomotive was disposed of in 1967. None of the British locomotives survived. The British locomotives carried the number series 90000 – 90732. The Keighley and Worth Valley Railway modified the cab to fit the UK loading gauge so that the loco could be used on services until withdrawal on expiry of the boiler certificate in 1976. The locomotive returned to service in July 2007 after a substantial rebuilding project, which saw the locomotive restored to its as-built condition and given the next available number in the series, No. 90733. This locomotive is unique; in recognition of this and its war-time associations, in future it will carry the name Remembrance, annually, on Armistice Weekend. To commemorate the rebuilding of 90733 and the reopening of its railway, the railway’s charitable trust is sponsoring the production of 500 models of this unique locomotive. There will be only one production run of 500 models – no more will be produced. All proceeds from these sales will be devoted to the restoration of the railway’s locomotive fleet. The limited edition Bachmann OO gauge model (catalogue number 32-250W) will only be available from the Keighley & Worth Valley Railway. 500 models will be available and they will be sold with a numbered certificate. Optional scale nameplates, which may be affixed at the discretion of the purchaser, will be included in the pack. The model is due to be delivered to the railway in June 2008. You can order your model by ringing 07500-165-814; please have your credit or debit card details ready. Alternatively, order forms can be obtained from the railway’s website (www.kwvr.co.uk), by email to trust@kwvr.co.uk or from Haworth shop. Bachmann China has announced its 2008 release programme. New items include a JS 2-8-2 steam locomotive, two diesels in the form of ND2 and ND5 locomotives, two coaches (22RW and 22RZ) and a QG70 bogie tank car. 1,135 JS Class (Jainshe) were built between 1957 and 1965 at Dalian Works for freight use mainly in North and North East China. Between 1986 and 1988 a further 423 locomotives of this improved B type were built at Datong Works. One of the Class was built specifically for the Boone & Scenic Valley Railroad, Iowa, USA for service on the tourist line, where it remains in service. A few survive in industrial use within China. Electroputere of Romania built the ND2 Co-Co diesel locomotives for the Chinese Ministry of Railways with 284 being built between 1972 and 1987. Most of the Class worked around Shanghai. General Electric of America built 422 ND5 locomotives, which were of known as C37-7 locomotives on American railroads. The first 221 locomotives were delivered in 1984 with the remainder following in 1986. New coaches are represented by the 22RZ and 22RW types. 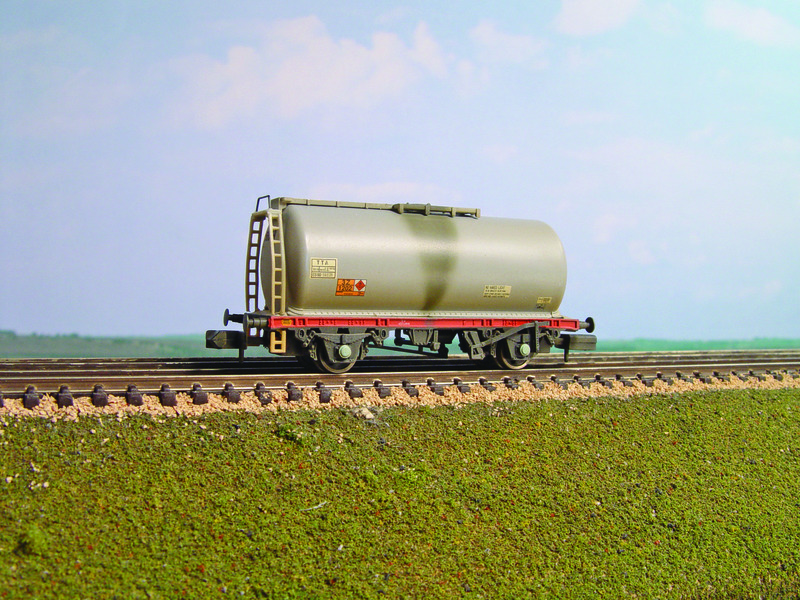 The existing range of wagons is supplemented by a new QG70 bogie tank wagon. The Eastleigh Lakeside Railway is to pioneer “Days out with Underground Ernie” on behalf of the railway heritage movement. The 10¼” gauge miniature railway has constructed scale models of Jubilee and Ernie 1, which star in the popular, children’s computer animated television series created by Joella Productions and regularly shown on the BBC CBeebies channel. Ernie himself has been seconded for a weeklong shift on the Eastleigh Lakeside Railway from Saturday 24th May until Sunday 1st June 2008. Ernie will be on duty from 1030 to 1615 each day and will be making sure that Jubilee and Ernie 1 are behaving themselves! Ernie is also enthusiastic about meeting some different trains, which operate regularly on the 1¼-mile circuit at Lakeside Countryside Park close to Southampton Airport Parkway station and Southampton Airport. In addition to train rides face painters and magic entertainers will be on hand to entertain the many young Underground Ernie fans. The site also has a comprehensive “Station Café” and a shop selling a wide range of Underground Ernie and associated railway merchandise. John Deery of Joella Productions said today “we are delighted that the Eastleigh Lakeside Railway has come on board and will be hosting four Underground Ernie events this year. Children love trains and we know that children relate to the characters we have created for the first television series. We recognise the importance of the heritage railway sector and its need to attract the next generation of enthusiasts, passengers and volunteers. This event is the first of its kind and is a major step in our journey to making Underground Ernie a truly international brand. We are sure many will be watching with interest to see how Ernie keeps the trains operating at Eastleigh”. Clive Upton, Managing Director of the Eastleigh Lakeside Railway said today “our children’s based ‘Days Out’ events have been hugely popular over the years and the loss of them could have had a very serious effect on our future operations here. We therefore approached the License holders of Underground Ernie who could have not been more helpful in enabling us to create an exciting new ‘Days Out’ opportunity. We have already been contacted by a number of colleagues in the heritage railway movement who are looking on with considerable interest to see how successful we can make this event. We are delighted that the Eastleigh Lakeside Railway has been chosen to pioneer the very first Underground Ernie event”. Children can enjoy a ride for £2.50 (Adults £3.00) on the line or 3 rides for £5.00 (£6.00 Adults) with children under two years old riding free. Details on how to find the Eastleigh Lakeside Railway can be found at www.steamtrain.co.uk or by setting your sat.nav. to SO50 5PE. Ernie and his friends look forward to meeting you all at Eastleigh. Bachmann America has introduced HO scale nickel silver HO scale E-Z Command® DCC points (turnouts). With these decoder-equipped E-Z Track® points, modellers can incorporate digital switching control into their DCC layouts with quick installation and easy programming and operation. These compliment the range of nickel silver track sections with the grey in-built track bed. Graham Farish is releasing a set of four different tank wagons in weathered plain grey livery (Catalogue Numbers 373-775W, X, Y and Z). Kernow Model Railway Centre initially commissioned the four wagons as limited edition models. These were subsequently cancelled production was already underway. 504 of each of the four wagons have been produced and these will be available through a limited number of retailers (see list below) until stocks are exhausted. These items will be released shortly with a recommended retail price of £10.45 each. The London Festival of Railway Modelling at Alexandra Palace last weekend (29/30 March 2008) saw the first test shots of the N gauge Warship Class 42 diesel and Class 108 diesel multiple units make their debut on the Bachmann Europe PLC stand. These form part of the recently introduced Blue Riband range and are being manufactured to a very high standard. All tooling has now been completed and the samples are being checked against original drawings. Graham Hubbard, Managing Director of Bachmann Europe Plc said today “the samples shown were the first test shots and will be subject to some minor modifications before going into production. Both items will be with our dealers later this year”. Bachmann Europe PLC has released the first models in the new Scenecraft range of OO gauge buildings to its dealers. 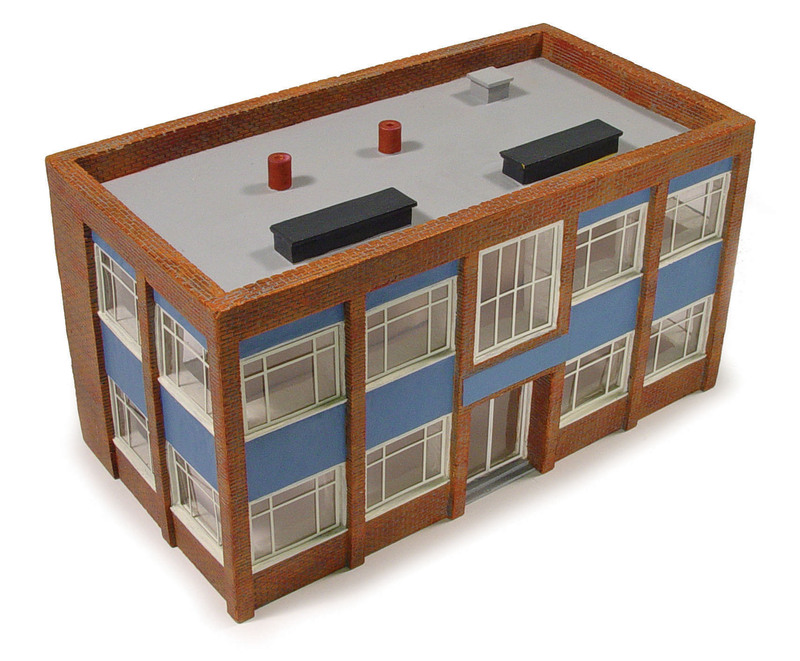 The buildings have been produced in resin to a very high standard and include a number of railway lineside buildings and those from urban and industrial settings. The buildings are delivered ready painted and in some cases weathered and range from £7-60 to £30.50. David Haarhaus, Sales & Marketing Manager for Bachmann Europe said “the new building range has been developed to compliment existing products. We have concentrated on town and industry rather than rural, to enable modellers to add some sources of traffic for their railway. Work continues on the N gauge range and on the remaining OO buildings which will be rolled out over the next few months”. 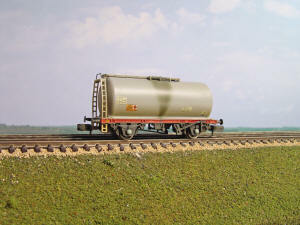 The Scenecraft range can be obtained from your Bachmann stockist. 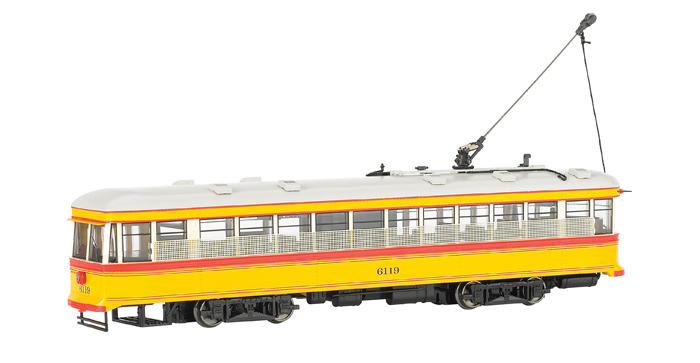 Bachmann America has introduced HO scale Spectrum® Peter Witt Streetcars (trams), available in five operators liveries, plus one undecorated version. While serving as Cleveland's Street Railway Commissioner, Peter Witt designed an all-steel, single-operator streetcar that distinguished itself from others of the era by its use of the centre door as an exit only. Passengers paid as they boarded at the front and exited at the centre of the car, an arrangement, which reduced stop times, improved schedules, and increased efficiency. Though designed originally for Cleveland, the Peter Witt Streetcar went on to service in cities throughout the world from the 1930s up until the early 1960s. 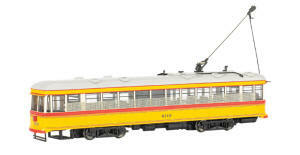 The Bachmann models represent cars that served urban areas in several East Coast, Midwestern, and West Coast states. 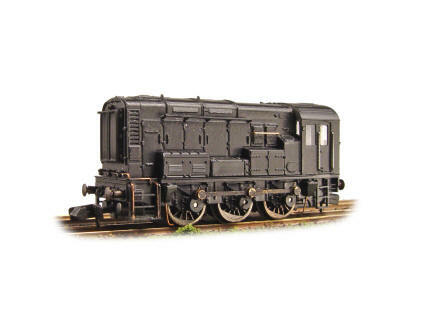 These models are available in the UK from Bachmann dealers. Bachmann Europe PLC has announced that the Stanier Coaches have now entered the production stage. These form part of the recently introduced Blue Riband range and are being manufactured to a very high standard. The coach sides have fully moulded detail with flush glazing, new slim line close coupling system with NEM coupling pocket, detailed roof and coach interiors for each type, fully detailed ends (corridor connections) complete with support brackets for gangways and are the first coaches for N gauge to be fitted with 7mm correct diameter coach wheels. Each coach comes complete with a detailing pack, which includes vacuum pipes, and gangway end covers. Six types are being produced including a Brake Third, Brake First, Corridor Third, Vestibule Third, Corridor First and First/Third Composite. In British Railways days Third Class was re-designated Second Class. The coaches are being introduced in two liveries, London Midland & Scottish Railway Crimson Lake and British Railways Crimson/Cream. Each coach retails at £15.25. The coaches are expected to be delivered to dealers in the Summer and compliment the recently introduced Jubilee Class locomotives. Bachmann Europe Plc have announced today that due to the rising costs of raw materials it is necessary to increase the price of both Bachmann Branchline and Graham Farish products from 1st March 2008. The prices announced by Bachmann last month to coincide with the publication of our 2008 catalogues took into account all predicted price increases including those that that resulted from recent changes to employment law that have recently come into effect in China. It also took into account the stabilisation of raw material costs following major fluctuations and increases during 2007. However, since the start of 2008, the price of raw materials has started to rise sharply once again. The price of oil used to create our plastic continues to remain extremely high and this week our vendors and brokers for metal items have advised us that our buying prices will be increasing by up to 80%. Other ranges such as Aristocraft, Bachmann Chinese, Liliput and Mehano are also likely to be affected and details will be revised once they are known. For the time being the prices of Underground Ernie, Woodland Scenics and Bachmann America prices remain the same as those published in late January. David Haarhaus, Sales & Marketing Manager for Bachmann Europe Plc said today “we aim to keep our products priced competitively but the cost of raw materials is completely outside our control and affects everyone in industry. We have attempted to keep increases to a minimum and the additional costs are raw material based as we had allowed for everything else including the changes of employment legislation in China”. Liliput the Bachmann brand for continental models has announced several new models at the World famous Nuremburg Toy Fair. Liliput are producing a new electric locomotive the E44 of German Railways (DRG). These locomotives were introduced from 1933. The models will be available in the DRG version in grey livery for Epoch II and green livery for the DB Epoch III version. The prototype locos had a long life and remained in service until the early 1980s. The locos are suitable for both passenger and freight trains. To go with the E44 locos Liliput are introducing new express carriages in two liveries – the light/dark blue livery carried by the Karwendel Express to operate with the grey DRG E44 and the same carriages in DB green livery will be produced to fit with the DB E44 loco in green livery. Liliput also announced a DR Class 92 0-8-0T locomotive from Epoch lll and a DB Class 05 4-6-4 locomotive at the event. To mark the 175th anniversary of the founding of Bachmann, Liliput are introducing a track maintenance train pack comprising of an 0-4-0 diesel locomotive V16.01 in Heitkamp livery plus an open wagon with gravel load, a flat bed wagon with a crane and a closed van for equipment. The 175th anniversary will also be celebrated in G scale by a beer wagon in the livery of Munich brewer Augustiner Brau. A wagon of this type is in use on the Harz narrow gauge railway. There are a number of reliveried wagons and carriages covering the Epochs II through to V. In the latest era a red German Railways DB covered wagon for carrying steel coils features a GPS antenna. Changes to the narrow gauge HOe range this year are limited to the renumbering of various Austrian carriages for both the OBB and Zillertalbahn. 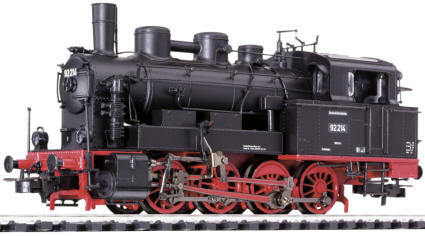 Bachmann USA has released a new Spectrum® On30 Inside Frame 4-4-0 American locomotive. The 4-4-0 configuration was the best-selling and longest-running wheel arrangement of all steam locomotives, first appearing in the late 1830s and seen in service until the end of the steam era. The multipurpose 4-4-0 was stable, quick on rough track, and easy to maintain. As a result, more than 80,000 Americans were built for railroads of all gauges. Bachmann is pleased to offer unlettered 1890s (wood cab) and 1910 – 20s (steel cab) versions "as delivered" from Baldwin, with a variety of paint/livery schemes and multiple-style accessory features that give modellers numerous customisation options. These models are available in the UK from Bachmann dealers. The recommended retail price of all versions in £164.00 and all six versions are currently in stock at Barwell. With the publishing of the new 2008 Bachmann Branchline and Graham Farish catalogues, Bachmann Europe have taken the opportunity to redefine its descriptions regarding DCC. The term DCC READY has now been dropped as it was causing confusion amongst customers, many of whom assumed that the item had a DCC decoder already fitted. Existing stock will retain any box labelling for the former title until stocks are exhausted. In the OO Branchline range, locomotives fitted with sound decoders will use the existing DCC SOUND logo whilst those factory fitted with decoders will retain the DCC ON BOARD definition. Locomotives that are factory fitted with decoder sockets will be represented in both the catalogue and the website by either the 8 PIN or 21 PIN symbol denoting which type of decoder can be fitted by removing the blanking plate. Remaining locomotives, which do not have DCC sockets factory fitted, can have DCC decoders fitted by using a soldering iron. In N gauge two symbols appear. These are the 6 PIN symbol denoting that the chassis has a standard N gauge 6 PIN decoder socket factory installed and can accommodate a 6 PIN socket by removal of the blanking plate. Some locomotives have provision for fitting decoders by soldering to a factory fitted PCB (printed circuit board). These are identified by the PCB symbol . These symbols will also appear in the product section of our Branchline and Graham Farish websites. Bachmann are delighted to be named ‘Manufacturer of the Year - OO’ in the recent Model Rail ‘Model of the Year 2007’ awards run in conjunction with MRE MAG and RM WEB. The company also received awards for the best OO diesel or electric locomotive/unit with the Class 108 topping the poll and the Sealion ballast hopper topping the OO gauge wagon section. Graham Hubbard, Managing Director Bachmann Europe said today “we are delighted that the Bachmann team’s efforts have been recognised in this way. It is even more rewarding in that the votes have been cast by customers in a joint competition run by the model railway media. We were naturally disappointed that as the leading supplier of N gauge products in the UK that we did not take at least one top spot this year but it is something we hope will be rectified the next time. We have plenty of exciting N gauge introductions due during 2008 and we expect to do much better now that the next generation of N gauge items are coming on stream such as the recently introduced N gauge Jubilee Class locomotive”. Bachmann Europe Plc has received a number of complaints regarding the recently released sound Class 37 locomotives which some consider to be too quiet. 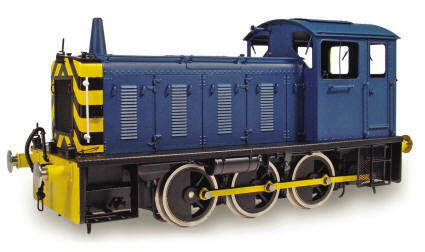 Bachmann reduced the factory setting volume because previously we had received complaints that they were set too loud! The two recently released examples are 32-380DS No. 37698 ‘Coedbach’ and 32-781DS No. 37-057 ‘Viking’. Contrary to some rumours now circulating, the volume on these locomotives can be increased by adjusting CV63. The factory setting for these two locomotives was set at 50 but can be adjusted to suit between 0 and 64. The earlier releases of Class 20 and Class 66 locomotives were both factory set to the maximum level of 64. Bachmann Europe Plc has today released its fourth Gauge 1 (1/32nd scale) electrically powered locomotive, a British Railways Class 03 diesel locomotive. A total of 228 locomotives were built between 1957 and 1962. They saw service on all regions of British Railways being used mainly for shunting and short distance trip working. They weighed just 30 tons and so were ideal for use on lines with light axle loadings. The first was withdrawn in 1968 and the last in 1993. A number remain in use on industrial railways in Belgium, Italy and at the UK. A large number have been preserved for use on heritage lines. The Bachmann Brassworks Gauge 1 locomotives are now available in unlined painted green (BW1077) and blue livery (BW1076) at £635.00. The model will be released later in unpainted brass (BW1075). 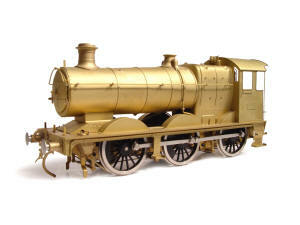 Bachmann Europe Plc has today released it’s O gauge Brassworks BR Standard 4MT 2-6-4T locomotive. A total of 155 locomotives were built between 1951 and 1957. They saw service on all regions of British Railways with the exception of the Western Region and were used mainly for branch line and suburban passenger duties. With the closure of many branch lines and impending dieselisation, the first locomotive was withdrawn in May 1964 and the last in July 1967. Fifteen of the class have been preserved for use on heritage railways. The Bachmann Brassworks O gauge locomotives are now available in brass finish (BW065) at £817.50 and in unlined painted black (BW066) at £850.00. 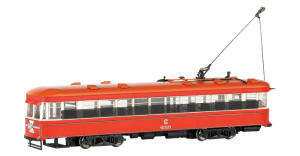 Bachmann Europe Plc have today released further models in the Underground Ernie series of toy trains. Circle has now been released as an individual train pack (UE205) and has a recommended retail price of £34.99. Circle has only been available previously in the train set (UE101). Bachmann has released six of the ten train characters so far. The industrial units have also been released (UE311). These retail at £19.75 and include two buildings, 4 oil drums and 5 wooden pallets. Graham Hubbard, Managing Director of Bachmann Europe Plc said “our Underground Ernie range continues to expand and will feature on our stand at the forthcoming British Toy and Hobby Fair at the end of January. With the television programmes starting to appear in other countries such as Poland, it is important that we continue to develop the brand as it is rolled out globally”. The National Railway Museum (NRM) and Bachmann Europe Plc are today informing their loyal customers there has been a delay in dispatching the commemorative Deltic Prototype model to model railway fans. An NRM spokeswoman explained: We had hoped to dispatch the models in time for Christmas. However this is a new product to the UK market and we have encountered unforeseen circumstances which have regrettably led to a delay in the shipping from our manufacturers. We have been informed that we will not be able to fulfil orders until the week commencing 14 January 2008. Bachmann Europe PLC unveiled its new range of OO gauge buildings at the Warley National Model Railway Exhibition during the weekend of 1st/2nd December 2007. 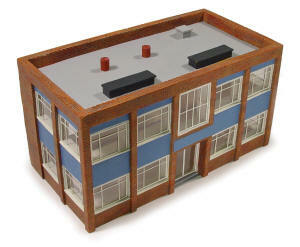 The buildings produced in resin to a very high standard will be available early in the New Year. They include a number of railway lineside buildings and those from an urban and industrial setting. The buildings will be delivered ready painted and in some cases weathered and range from £7-60 to £28.00. David Haarhaus, Sales & Marketing Manager for Bachmann Europe said “the new range has been developed to compliment existing products. We have concentrated on town and industry rather than rural, to enable modellers to add some sources of traffic for their railway. Owners of private owner coal wagons were certainly interested in the coal mining buildings. All buildings are copies of prototypes and many visitors to our stand were trying to work out where the originals could be found”. 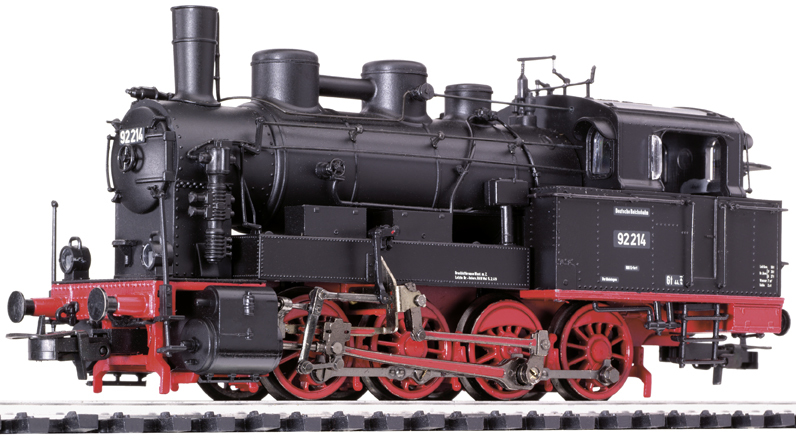 Bachmann Europe PLC has announced that the first of the OO gauge Jubilee Class 4-6-0 steam locomotives has been released. Designed by Sir William Stanier for the London, Midland & Scottish Railway, 191 locomotives were built between April 1934 and December 1936. Many saw service on the former Midland Railway main line between London St. Pancras, the East Midlands, Sheffield, Leeds and Carlisle. They also worked cross-country trains from Bristol towards Birmingham and the North East. On the West Coast main line they saw active service on trains between London Euston and Birmingham New Street. Although unnamed at first, the Silver Jubilee of King George V in 1935 resulted in No. 5552 being repainted into glossy black livery with chromium plated handrails, boiler fittings and cab side numbers being applied. The class was then named after countries of the British Empire, former Admirals and warships. Withdrawals began in January 1961 with the last of the class being withdrawn in November 1967, nine months before the end of steam on British Rail. The final examples worked in the North West with four members of the class entering preservation. The first model to be released from the all-new tooling is No. 45611 ‘Hong Kong’ in British Railways Green livery with early emblem (Catalogue No.31-175). The model has a DCC socket installed (8 pin) and has a recommended retail price of £94.95. Further versions will be released in due course. Graham Hubbard, Managing Director, Bachmann Europe Plc said today “Dynamis has been developed by our team here at Barwell in association with ESU our project partners. Interest in this system has been very high and we know it is eagerly awaited in the market place”. The new system uses long addresses (4 digit), has a 16 character locomotive name feature, full cv programming, point/accessory control and control of up to 40 locomotives at any one time. The infra-red wireless handset has a full numeric keypad with 12 buttons for control of up to 21 decoder functions, 4 menu buttons, direction switch, joystick speed control and a large LCD display to show the operator what is happening. There is also an emergency stop / go button – just in case! The new system is fully NMRA compliant and will be marketed by all divisions of the Bachmann group including Liliput in Europe. The Dynamis system will be demonstrated on the Bachmann stand at the Warley National Model Railway Exhibition this coming weekend. Please note that these will not be on sale at the Bachmann stand. Bachmann Europe Plc has today released further models in the Underground Ernie series of toy trains in good time to make Santa’s busy delivery schedule. Three more train packs have been released in the form of Brooklyn (UE207), Hammersmith & City twins (UE201), and Jubilee (UE204). Each train pack comprises of a powered car and trailer and faithfully replicates the trains from the popular television series created by Joella Productions. Each train pack has a recommended retail price of £34.99. This brings the number of trains in the Underground Ernie range to six. Four more trains are due to be released during 2008 to complete all those featured in the first series. Two train packs have been released in the form of Bakerloo (UE202) and Victoria (UE203). Each train pack comprises of a powered car and trailer and faithfully replicates the trains from the popular television series created by Joella Productions. Both train packs have a recommended retail price of £34.99. Also released is International Station (UE 301) which includes platforms, arched canopy supported on six columns, four figures including the Mayor, seats, information monitors, loudspeakers, lamps, poster boards, trees and retail kiosks. The station provides plenty of play value and retails at £27.95. Graham Hubbard, Managing Director of Bachmann Europe Plc said “Underground Ernie is important for the future of model railways. It is a growing global brand that we are proud to be part of and one that will introduce many youngsters to the delights of owning and operating a train set. As the programmes start to appear in other countries, then we have everything in place to cope with the demand. We will be adding further trains later this month”. Visitors to the National Railw ay Museum (NRM) this festive season will be in with a chance of getting their hands on one of the first 500 working models of a historic locomotive owned by the museum – the perfect modeller’s gift. Bachmann Europe Plc, who have been making model railways since 1952, have produced a 00 gauge model of the Deltic for the NRM and it is hoped the colourful locomotive will be the first of a series of limited edition models based on well-known engines from the national collection. The 3,300hp diesel Prototype Deltic was built in 1955, and was affectionately known as the “cat’s whiskers” and the “ice cream cart” due to its characteristic cream stripes, French blue livery, and prominent central headlamp. It was the most powerful diesel locomotive in the world when it was built and its success rang the death knell for steam, which up until that time dominated Britain’s railways. Subsequent to the initial run English Electric supplied 22 production Deltic locomotives for the East Coast Main Line, heralding a new era for rail travel. An ideal gift for model railway fans, the Special Limited Edition commemorative set is due to hit the shelves in December – just in time for Christmas. However, rail enthusiasts who want to make doubly sure they are one of the proud owners of the exclusive first 500, or friends and family who want to ensure the perfect gift for their model-mad loved ones, will be able to reserve their special purchase in advance. Each sale will support the NRM in its vital work in preserving Britain’s railway heritage, and providing public access to the national collections. Modeller’s who do not manage to get hold of this exclusive first edition model need not be too downhearted. Following the first 500 Special Limited Edition commemorative sets available from December 2007, there will be a further 2500 Limited Edition standard models following in January 2008. Bachmann Europe Plc has been asked to clarify by Geoffrey Allison the situation regarding nameplates for this limited edition model (32-381X) of No. 37425 ‘Pride of the Valleys’. At the request of Geoffrey Allison models the names were not printed on to the side of the locomotive but etched plates have been supplied and these are packed inside the locomotive header card, inside the box. The reason from deviating from the normal Bachmann practice of printing nameplates and supplying etched ones for application by the purchaser is that this particular locomotive carried them whilst in service with Arriva Trains Wales and was named ‘Pride of the Valleys’ at Caerphilly on 28th November 2005. The locomotive also carried the large logo blue livery (but without nameplates) whilst working in Scotland during the 1980s. Those who have Scottish layouts based during that period can also, therefore, operate this model. The Bachmann Collectors’ Club part of Bachmann Europe Plc is to continue with its sponsorship of the Train Collectors Society Exhibition. Bachmann sponsored the 2007 event which was the largest single gathering of historical operating layouts under one roof in the UK. Prior to Bachmann’s involvement, the exhibition had been under threat from rising costs. The 2008 event is to be held in Sandy, Bedfordshire on Saturday July 5th and Sunday July 6th 2008 and brings together train collectors of all marques. Since it was established in 1999 it has become the leading exhibition of its type in the UK. David Ramsay, Chairman of the Train Collectors Society (TCS) explained “collecting and operating vintage model railways is a very important part of TCS activities. We also research and record the history of this fascinating hobby. The support from Bachmann has again secured the 2008 event, which attracts train collectors from all across the world. Exhibitions like this are not just about collecting models but more importantly operating them, many of which have been lovingly restored. Some of these trains are 100 years old and still giving good service”. David continued “Bachmann, as the World’s largest manufacturer of model trains by volume brought a new dimension to our exhibition, particularly as we in the Train Collectors Society have begun attracting collectors of current products which are now featured in our quarterly magazine. The support of Bachmann for 2008 reinforces the point that model and toy train collecting is not just about yesterday, but today and tomorrow”. Dennis Lovett, Public Relations Manager for Bachmann Europe Plc said “we were delighted to support the 2007 event and we had a fantastic response to our displays and products. The Bachmann Collectors’ Club is growing at a rate of around 500 members a quarter and our profile has risen considerably since our involvement with the Train Collectors Society began last year”. Further details of the exhibition will be released in due course. Sandy station is served by First Capital Connect services from both London Kings Cross and Peterborough, which offers connecting services to many other parts of the country. The Train Collectors Society offer a free vintage bus link between the station and the venue. The venue, Sandy Upper School offers substantial free parking and Sandy is on the A1 trunk road. Bachmann Europe Plc has today issued a statement regarding the company declining to produce a model of the Class 40 locomotive D326. This was the locomotive hauling the Glasgow - London postal train involved in the Great Train Robbery near Cheddington, Bucks on 8 August 1963. Graham Hubbard, Managing Director of Bachmann Europe Plc said “we are aware of the sensitivity that still exists in the railway industry regarding the injuries that Driver Jack Mills received on the night of the robbery. The British Railways Board as a result refused filming facilities to the production team of “Buster” in 1988 and the locomotive itself was cut up in record time so as to avoid any attempts to preserve it. We work very closely with the railway industry and we fully appreciate their stance on this. As a result we have declined various requests to produce a model of this particular locomotive and we will do so again in future”. Bachmann Europe Plc today displayed at its Annual Trade Open Day its third Gauge 1 electrically powered locomotive, a Great Western Railway 57xx 0-6-0T. A total of 863 locomotives were build between January 1929 and December 1950. The first was withdrawn in 1956 and the last ten years later, although a number entered service with London Transport until they ceased using steam locomotives in 1971. Sixteen locomotives have been preserved. The Bachmann Brassworks Gauge 1 locomotives are now available in brass finish (BW1020) at £650.00 and in unlined painted black livery (BW1021) at £715.00. An unlined painted green version will be released later (BW1022). Open Days. Tooling of this project has now been completed and the models undergoing testing. Graham Hubbard, Managing Director said “work on our Voyager has now reached the next stage. After testing and evaluation, the next requirement is to produce fully liveried samples. We expect the model to be on sale in time for Christmas”. The 4 car N gauge model will feature working lights, full detailed interior, optional N gauge coupling and requires just two DCC decoders for DCC operation. Bachmann Europe PLC have today released their latest OO gauge model to dealers - the Class 47 diesel locomotive. Five hundred and twelve Class 47 locomotives were built between 1962 and 1967. The first was withdrawn following accident damage in 1966 but a some remain in traffic with various operators. A number have been preserved for use on heritage railways, whilst others have been rebuilt into Class 57 locomotives. Initially two versions are being released namely D1500 in BR two tone green livery (32-800) and D1765 in two tone green with full yellow ends and 4 digit headcode (32-801). These have a RRP of £73.40. The models feature six axle drive, 5 pole motor, directional lighting and are DCC ready (21 pin sockets). Bachmann Europe PLC today launched its Ivatt 2MT 2-6-0 Class locomotive at the Ribble Steam Railway at Preston Docks. During a ceremony held in front of No. 46441, models of the first production locomotives from the factory were presented by Graham Hubbard, Managing Director, Bachmann Europe Plc, to Mrs Betty Beet the owner of 46441 and The Ribble Steam Railway who hosted the event. The invited guests were then given a tour of the excellent facilities at Preston and also took a trip on the line through Preston docks hauled by a Class 05 diesel shunter. 128 Ivatt 2MT Class 2-6-0 locomotives were built between December 1946 and September 1952. Entering service with the London, Midland & Scottish Railway, construction continued under British Railways after Nationalisation in 1948. Light axle loadings allowed them to be used on branch line passenger and freight duties and their almost enclosed cabs made them ideal for working tender first when no turning facilities existed. The Class could be found at work on all but the Southern Region of British Railways. The introduction of diesel multiple units and branch line closures resulted in the class being withdrawn between 1961 and 1967, a year before the end of steam on British Railways. Seven locomotives have survived to work on heritage railways. Aristocraft have announced that due to a world shortage of copper and ever increasing prices of the raw material, the future cost of G scale track is to double in price from the 1st July. Copper forms 70% of the raw materials used in brass rails. Graham Hubbard Managing Director of Bachmann Europe, the distributors of Aristocraft products in Europe said today “Aristocraft have held prices for as long as they could and were confident that the price of copper would reduce. The price has risen from $1 per pound in 2005 to $3.40 today and Aristocraft can no longer hold the price. 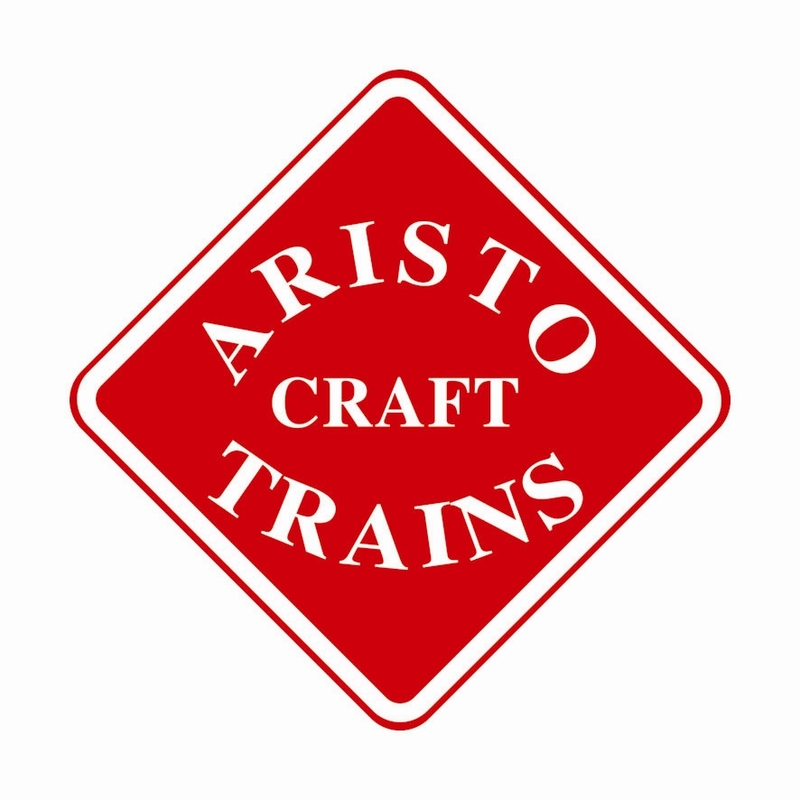 We and Aristocraft are aware that demand for their track products has escalated in recent months due to the demise of LGB, but the stark reality is that without these price rises, brass track is no longer commercially viable and we are faced with price rises or stopping track production. If the commodity price of copper changes then we will review prices accordingly. Aristocraft have also advised us that the cost of steel is escalating as well, forcing increases that are outside our control”. A number of rumours have been circulating regarding the status of the recently introduced Class 37 locomotives. During transit a number of locomotives were damaged and could not be released. Those that were released were checked prior to despatch and no damage was found. Graham Hubbard, Managing Director of Bachmann Europe Plc said today “It is regrettable that damage has occurred to some locomotives but these and subsequent batches will require revised packaging to avoid this problem in future”. Bachmann Europe PLC displayed the first shots of the new Voyager driving car at the Annual General Meeting of the N Gauge Society held in Redhill on Saturday 26 May. Some of the first components of the forthcoming Class 37 locomotive were also seen, together with working examples of the new Class 04 diesel shunter. Undecorated samples of the new Jubilee with single and double chimneys, long and short fireboxes, smooth and riveted tenders were on show together with both bogie types. Graham Hubbard, Managing Director said “having refurbished the mechanisms of the inherited Graham Farish range, we are now concentrating on new projects which will push N gauge production to new limits. 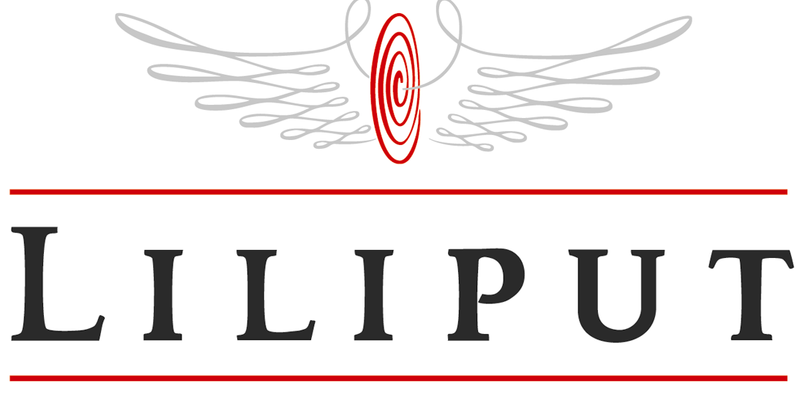 We have a number of exciting new releases nearing completion and many new models for release in the coming months”. Bachmann Europe PLC has released the first of its Class 37/4 locomotives in the form of 37410 ‘Aluminium 100’ (Catalogue No. 32-382). 309 locomotives were built by English Electric between 1960 and 1965. Following a major refurbishment programme in the mid 1980s, 31 locomotives were fitted with electrical train heating for use on passenger services, including 37410 which was used on the West Highland Line in Scotland. The Class 37 locomotives have high route availability and some thirty locomotives across each of the sub-classes remain in service with a number of current operators including EWS, DRS, Eurostar and West Coast Railway Company. A large number have also been preserved for use on heritage lines. A number of locomotives have also seen use working engineering trains for major infrastructure projects in France and Spain. 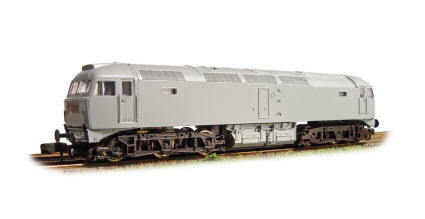 The recommended retail price of the Class 37/4 locomotive is £65.15. The model features opening cab doors, working cab lights and etched fan grille. Bachmann Europe PLC is delighted to receive two awards from model railway magazine ‘Model Rail’ in its 2006 ‘Model of the Year’ competition. 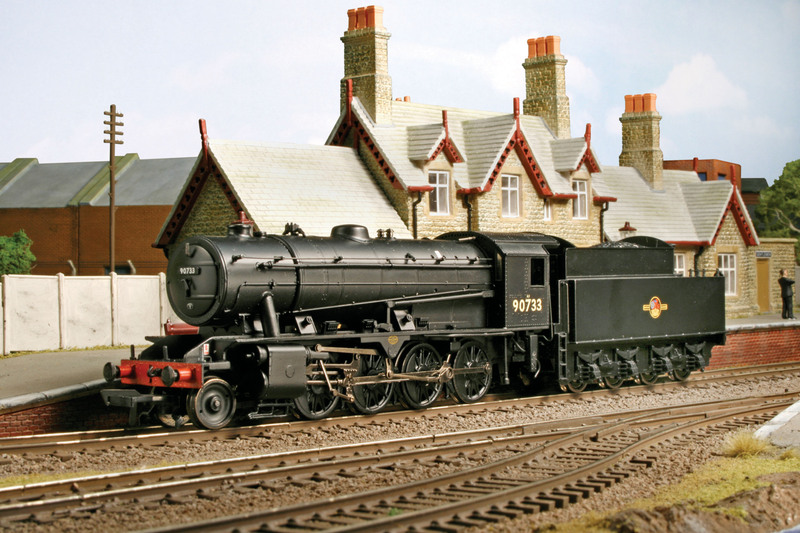 In the steam locomotive category, the Bachmann 9f Class locomotive was the winner claiming 40% of the vote. In the rolling stock category, the Metro-Cammell Mark 1 Pullman cars secured a third of the vote to secure top spot. 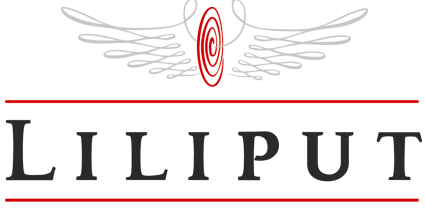 Managing Director Graham Hubbard said “we have won a number of awards on the continent for our Liliput range but this is the first such competition to be held in the UK and we were delighted to be awarded two top places. We would like to thank all the Model Rail readers who voted for us and reassure them that we have a number of exciting projects which we trust will do well in next years competition”. Bachmann Europe Plc has today issued the following statement to clarify the position regarding two of its forthcoming models in the Graham Farish N Gauge range. Development work on the Class 150 is now proceeding apace following completion of the drawings. This applies also to the OO gauge model being produced in parallel. The Class 101 requires a new chassis and samples should be available towards the end of the year. This is the last of the original Graham Farish models to be reintroduced and over the last 7 years Bachmann have extensively re-engineered the old range. 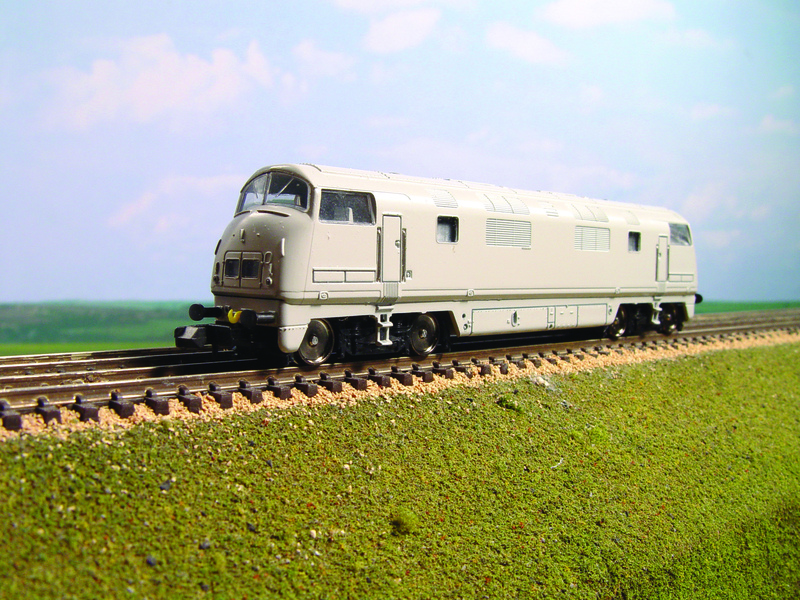 Bachmann can now concentrate fully on expanding the Graham Farish range with an exciting programme of new models. 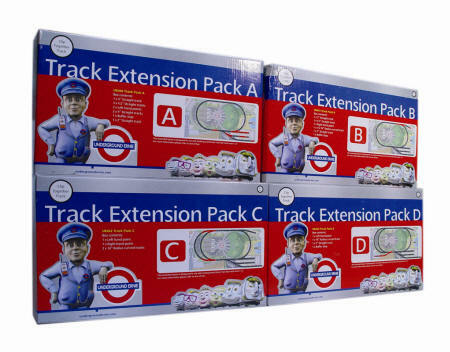 Bachmann Europe Plc has today released track packs A, B, C and D to extend the Underground Ernie Circle train sets. The track components allow the layout to be extended as outlined on the track mat supplied in the set. Four different track packs are available. Track pack A (UE450) retails at £19.99, B (UE451) at £13.99, C (UE452) at £15.99 and D (UE453) at £11.99. Further track packs, trains and accessories are being developed for release later this year. 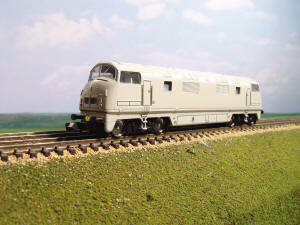 Mehano have released an HO model of the DB (German Railways) ICE 3 (Inter City Express) electric multiple unit. Siemens working closely with German Railways (DB AG) and Netherlands Railways (NS) built the prototype sets. All the traction equipment is arranged under floor and individual traction motors drive half of the axles providing excellent acceleration. ICE 3 units can carry single or multi-system electric supply capability that enables the trainsets to be used on various European rail networks including Germany, Austria, Switzerland, Belgium, France and the Netherlands. The eight-car ICE 3 sets can be strengthened to 16 carriages by attaching a second set. The units travel at speeds of up to 330 km/h and each set accommodates up to 458 passengers in comfort. The eight-car Mehano ICE 3 model measures 228 cms in length. It has bi-directional lights, working pantographs, a metal chassis, carriage interiors and close couplings between the carriages. It is recommended that these eight-car models use track of a minimum radius of 400 mm. The accompanying leaflet (with text in the English language) contains maintenance instructions, an illustrated guide to spare parts and information on digital operation. Mehano are releasing these ICE 3 units in DC and AC Digital Sound formats in Deutsche Bahn and Netherlands Rail versions. Full details of the models that are currently available are listed below. This DC version of the ICE3 train offers remarkable value at less than £200 for a full ICE set (DC version) measuring 228 cms long! The Mehano range is distributed in the UK by Bachmann Europe Plc. and can be obtained through your Bachmann dealer. Details of Mehano stockists in the UK can be found on the Bachmann website at www.bachmann.co.uk and clicking on stockists. 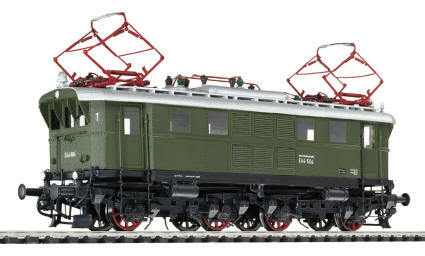 Mehano have released their HO model of the DB (German Railways) Alstom LINT 41 diesel multiple unit. The Mehano range is distributed in the UK by Bachmann Europe Plc. Alstom LINT 41 trains are light, innovative (“LINT”) diesel multiple units designed for regional traffic at speeds of up to 120 km/h. Since the delivery of the first LINT vehicles in 2000, Alstom has sold over 335 of these trains in Germany, the Netherlands and Denmark to both private and state transport authorities. The trains are equipped with air-conditioning, a toilet, a modern passenger information system, a wheelchair ramp and aids to assist visually and mobility-impaired passengers. The low floor provides easy access for all passengers. The articulated models feature bi-directional working red/white lights, a metal chassis, flywheel drive to two bogies, close coupling of the two carriages and some “add-on” detailing parts. It is recommended that these two-car Mehano models use track of a minimum radius of 360 mm. The accompanying leaflet (with text in the English language) contains maintenance instructions, an illustrated guide to spare parts and information on digital operation. Mehano are releasing these LINT diesel multiple units in various number and livery combinations (including Deutsche Bahn (DB Regio AG), Syntus, Vectus, Nord West Bahn and Alstom). They will be available in DC, DCC Digital Sound, AC and AC Digital Sound formats. The digital models are fitted with 21 pin decoders. Full details of models currently available are listed below. The models can be obtained through your Bachmann dealer. Details of Mehano stockists in the UK can be found on the Bachmann website at www.bachmann.co.uk and clicking on stockists. Bachmann Europe Plc today announced that it is introducing two new logos to show which items are fitted with 8 pin and 21 pin decoder sockets. These will appear initially on the Bachmann website at www.bachmann.co.uk in the products listing section of the site. Sales & Marketing Manager David Haarhaus said today “we appreciate that the introduction of the 21 pin socket has caught some people unawares in the past and in order to differentiate between the two types of sockets in use in our DCC READY products, we are introducing two new logos to show which locomotives require 21 pin decoders to be installed”. Bachmann will shortly be introducing a new 21 pin decoder (36-554) which will retail at £10.95. 21 pin decoders are now fitted by many European manufacturers. The term “Limited Edition” refers to items which are not in the annual Bachmann catalogue and consist of a much smaller run than those produced for normal distribution. These items are usually produced for retailers, model railway magazines, our own Bachmann Collectors’ Club or exhibitions which are part sponsored by Bachmann. Understandably there has been a growing interest in these items and following much adverse comment, Bachmann Europe Plc wishes to clarify its position relating to Limited Edition items. Limited edition models have a minimum run of 504 but can also be 750 or 1008 pieces. Producing a limited edition model involves considerable risk on behalf of the commissioners and there are examples that have failed to sell in the past. Some sell out quickly but others do not. For Bachmann to rerun any Limited Edition model there has to be detail differences, livery changes or a change of running number and/or name. For example, the Freightliner / Shanks Class 66 locomotive has now received a revised livery and will be rerun. It has acquired the 40th Anniversary logo applied and has had yellow squares applied to its cab sides to indicate its suitability for infrastructure work. Additionally the model will receive weathering to its roof around the exhaust ports. Additionally the new Southern Class 171 being produced for Model Zone will consist of a two car unit and will carry a different running number from the previous example. The livery is consistent across the fleet of Class 171 units operated by Southern Railway. Finally the Class 158 produced for Model Rail, Scotland was the first unit to carry the First ScotRail livery. Examples have previously been produced in the initial ScotRail and ‘Whoosh’ liveries and in the interim livery adopted by First Group after they won the franchise from the previous operators, National Express Group. As this livery is being applied across the whole fleet operated by First Group in Scotland, further models will no doubt appear during the lifetime of this franchise with the only difference being the running numbers carried by the unit and on individual vehicles. The model produced for Model Rail, Scotland is the only Class 158 so far to have carried this livery and our Class 170 has already carried it. We have at no time stated that we would not release further Class 158s in this livery, although clearly a change of running number will be required. It will be seen in Scotland at least until October 2011 when the current franchise expires. Bachmann Europe today (19 March 2007) announced that they have released the first of their N gauge Class 57 locomotives in time for the forthcoming London Festival of Railway Modelling being held at Alexandra Palace on 24th / 25th March. Two of the four versions of the new model have so far been released. These are Freightliner’s 57003 ‘Freightliner Evolution’ (371-651) and Porterbrook 57601 in the distinctive purple livery (371-653) it carried prior to sale to West Coast Trains. These state of the art models have 6 axle and flywheel drive, directional lighting, detailed cab interior, fine etched steel grilles and is DCC friendly. Each has a recommended retail price of £78.50. The Class 57 fleet made its debut in 1998. Freightliner asked Brush Traction to completely rebuild six former Class 47 locomotives and to fit reconditioned General Motors 645-12E3 engines. A further six locomotives followed between Autumn 1999 and April 2000. The funding for these locomotives was provided by train leasing company Porterbrook. Keen to test out if a similar rebuild would interest the passenger operators, Porterbrook funded the building of a prototype passenger locomotive with electric train supply (ETS) to power the ancillary equipment such as air conditioning and catering equipment. As this required more power this locomotive had a more powerful General Motors type 645-12E engine fitted. This locomotive became 57601 and emerged in Porterbrook purple livery. It went into service with Great Western Trains hauling sleeper trains to and from the West Country. Virgin Trains ordered 12 Class 57/3 locomotives for hauling its new fleet of Pendolino trains when diverted over non electrified routes such as Crewe – Holyhead, the Settle-Carlisle and the Carlisle-Glasgow line via Dumfries, the latter two routes being extensively used for diversions during engineering works. These were also available for rescuing any trains in trouble and have become known as ‘Thunderbird’ or International Rescue locomotives. Virgin in a blaze of publicity obtained a license to name their initial 12 locomotives after characters from the cult television programme. The first 57301 ‘Scott Tracy’ was named by creator Gerry Anderson at Euston station, suitably assisted by a life size puppet. All were delivered between June 2002 and September 2003. These again had an upgraded engine to provide the additional power. A further four locomotives were provided in by December 2004 and again carried names from the TV series. All were subsequently fitted with Dellner couplings for coupling to Pendolino units. Following trials of 57601, First Great Western ordered four 57/6 locomotives of its own (57602 -5)which were funded through Porterbrook. These were delivered during 2004 and have been named after West Country castles. These are used on the overnight Sleepers and on some other services when required. No.57601 was returned to Porterbrook and was subsequently sold to West Coast Trains, the charter and short term hire operator based at Carnforth. It now carries that operators maroon livery. 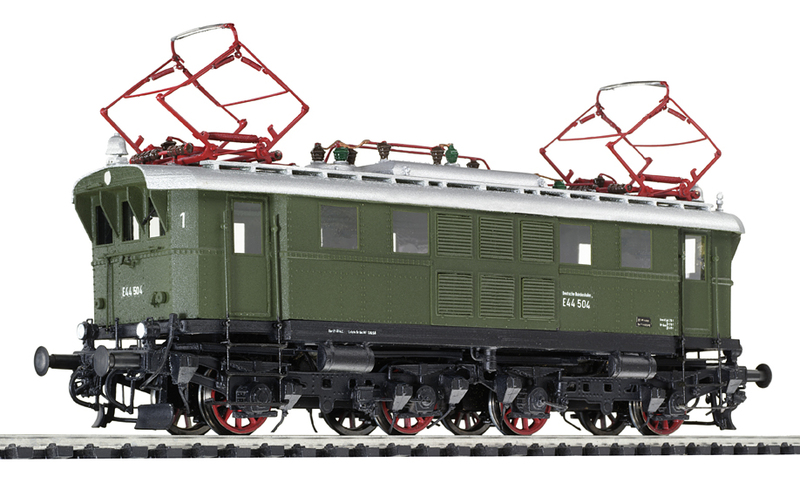 Bachmann Europe Plc has been contacted by a number of customers who have purchased the recently released General Utility Vehicles (BR Mark 1 GUV). A number of these have suffered some distortion and any purchased which have bowed slightly should be returned to dealers for exchange or refund. Our factory has established that this has occurred during the curing process following painting and livery application. Not all vehicles have been affected in this way and we are currently checking on those that we have in our warehouse and also those still in production in the factory. No further models of the Maroon (39-271) and RES (39-270) will be released until these checks have been concluded. Bachmann Europe apologises to customers for any inconvenience this may cause. Bachmann Europe Plc based in Barwell, Leicestershire is helping BBC Radio Leicester raise money for its Ruby Rainbow Appeal during the stations 40th Anniversary celebrations. The popular radio station was the first BBC local station to be set up in 1967 and is aiming to raise £400,000 towards building an extension at the Rainbows Children’s Hospice on the edge of Charnwood Forest near Loughborough. BBC Radio Leicester has an Underground Ernie Circle set that was signed at the London Toy Fair last week by the voice of Ernie, Gary Lineker. Gary signed the set during a live radio interview from the Bachmann stand with presenter Tony Wadsworth. The Bachmann Collectors’ Club have also donated one of their limited edition models of Freightliner’s Class 66 locomotive. The locomotive (No. 66540) was named ‘Ruby’ on January 24th 2006 at Coatbridge to celebrate Freightliners own 40th Anniversary. The model comes complete with certificate No. 40 and the back of the certificate will be signed by BBC Radio Leicester’s presenters. Only 504 models have been produced. Both items are being auctioned by BBC Radio Leicester for the appeal which is sure to attract some competitive bidding from model railway collectors, autograph hunters and football fans. To place your bid listen to Charles Dagnall on Saturday morning February 3rd from 9-12 noon and Tony Wadsworth’s Sunday show February 4th 9-12 noon on BBC Radio Leicester. More details can be found at www.bbc.co.uk/leicester . The bids for Underground Ernie and the Class 66 ‘Ruby’ begin at £100 each. The models were handed over to presenter Tony Wadsworth during a live interview with Bachmann’s Public Relations Manager, Dennis Lovett on Wednesday. Bachmann Europe PLC announced new models today (24th January 2007) at the opening of the 2007 British Toy & Hobby Fair held at ExCel in London’s Docklands. 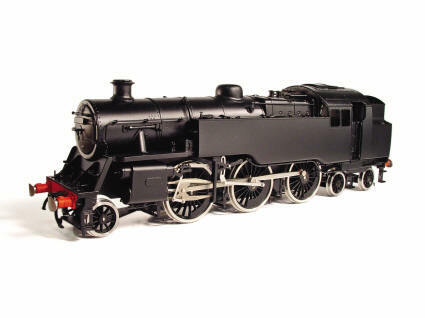 The OO scale Bachmann Branchline range sees the addition of one new steam locomotive, the much requested G2a Class 0-8-0 better known as Super D’s. These will be joined by the Class 150 diesel multiple unit, 4Cep electric multiple unit, Class 66/9 diesel, Ivatt 2MT 2-6-0, Standard 76000 2-6-0 and the LMS 4-6-0 locomotives (Patriot, Rebuilt Patriot, Royal Scot, Rebuilt Royal Scot and Jubilee). In addition Bachmann will be introducing 3 new wagon types (VDA, BDA bogie bolster and a series of ventilated vans). In N gauge, Graham Farish are introducing two new steam locomotives, one new diesel locomotive, two modern high speed diesel multiple units and five new wagon types. 2007 will also see the delivery of the Class 150 diesel multiple unit, Class 42 Warship diesel, the Standard Class 3MT 2-6-2, Jubilee Class 4-6-0 and the Stanier coaches previously announced. The Underground Ernie range of OO gauge electric trains will also be expanded considerably following the successful launch of the Circle train set last November. Additional trains in the form of Bakerloo, Jubilee and Victoria will be added, along with a range of track packs, buildings and accessories to complete the track mat included with the initial set. The new ‘Dynamis’ Digital Control System was also launched and this will be available in the Spring. The new system is fully NMRA compliant. Garden Railways will also see a major boost during 2007 with the release of the Class 66 locomotive by Aristocraft and the development of intermodal wagons for it to pull. New models will also appear in the Liliput, Bachmann American and Bachmann Chinese ranges and these will be announced at Toy Fairs over the next few weeks. Graham Hubbard, Managing Director of Bachmann Industries PLC states “2007 promises to be even busier than last year when we introduced many new products and gained the world wide license for Underground Ernie. For the first time at a London Toy Fair we can show not only our highly regarded scale models but a range that will interest toy retailers. Our Underground Ernie range offers excellent value for money and provides plenty of play opportunities as well”. Bachmann Europe PLC has today released its Mark 1 Restaurant Miniature Buffet coach (RMB). 82 examples were built at British Railways Workshops in York and Wolverton between 1957 and 1962. Prior to the introduction of these coaches, on train catering was provided by full kitchen cars which provided an at seat service and an associated buffet counter for take away meals. The RMB was provided for shorter distance routes and cross country routes where a full restaurant car service could not be justified and the fitting of small buffet counter allowed light snacks and drinks to be served. The first batch of 12 vehicles (No’s 1801 – 1812) was built to diagram 97 by British Railways at York between June 1957 and March 1958. They were fitted with BR1 bogies and had 48 seats fitted. Following trials it was decided to reduce the seating to 44 to allow additional stock storage facilities to be provided. All further batches were built with 44 seats and the original 12 vehicles were later retrospectively converted. The Bachmann Collectors Club limited edition Fairburn tank locomotive (32-875K) in Caledonian blue livery has sold out in just three weeks, beating the record set by 9F Black Prince by a week! 504 examples were produced and each had an individually numbered certificate signed by the locomotive owner Charles Maher. The blue livery was carried by locomotive No. 2085 after preservation for a 10 year period. The two remaining Fairburn tank locomotives were both purchased from British Rail for use on the Lakeside & Haverthwaite Railway in Cumbria. Earlier this year, Bachmann launched the new Fairburn Tank locomotives at Haverthwaite station. Graham Hubbard, Managing Director of Bachmann Europe Plc said today we are delighted that the Fairburn tank carrying this livery has proved popular with our members and that they appreciate the added value we have provided in the form of an individually numbered and signed certificate. We have more exciting plans for 2007. Bachmann Europe PLC announced today that the first Underground Ernie set featuring Circle, has arrived at Barwell in good time for Christmas and these are now being shipped to Santa for Christmas deliveries. The first set (UE101) features the two car ‘Circle’ train with moving eyes and includes a full colour Track Mat, Ernie figure, 2 platform sections, track oval with siding and a controller / transformer. (NB for the DCC enthusiasts the train is fitted with an 8 pin DCC socket). Colin Allbright, Bachmann Design Engineer for the Underground Ernie project said today “these fantastic starter sets will allow you to recreate your favourite stories from the hit Children’s programme. There is considerable play value to attract the next generation of railway modellers and we shall be adding more trains and accessories next year to expand the initial set”. Bachmann Europe Plc signed up with Joella Productions to produce the sets in April this year. Colin Allbright explained “since then we have worked very hard with the creators to ensure that the models accurately represent the characters on the television. The model has been manufactured by our parent company Kader’s toy division”. The set has a recommended retail price of £59.99 and can be obtained through Bachmann stockists for immediate delivery. Delivery by sleigh is not included! 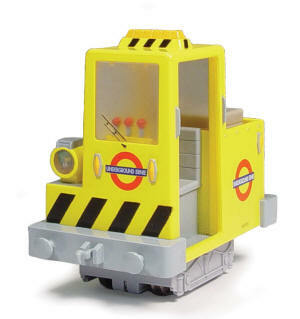 Further details regarding new Underground Ernie products will be revealed at the London Toy Fair in January. Bachmann Europe PLC has recently released two Class 66 OO scale locomotives which are fitted with the latest European 21 pin decoder sockets. One of these Class 66 locomotives was the first British outline ready to run locomotive with factory fitted sound (32-725DS) which is fitted with a 21 pin sound decoder, whilst the other non-sound locomotive (32-731) has a 21 pin decoder socket. To achieve top quality sound it has been necessary to fit the 21 pin decoders to these locomotives and to modify the chassis of the Class 66 locomotives to accommodate them because the locomotives with sound require more connections than the 8 pin sockets allowed. The new 21 pin sockets fit directly to the locomotive’s printed circuit board which has reduced the volume of wiring harness fitted. 21 pin decoders will become standard in future all Bachmann Branchline locomotives with factory fitted sound and the non sound variants of the same locomotives. Some of the major European manufacturers are now adopting 21 pin sockets as standard and our sister company Liliput, introduced them earlier this year. For purchasers of the non sound Class 66 locomotive (and the future Bachmann locomotives that use the 21 pin sockets) who wish to use 8 pin decoders it will be necessary to purchase an adapter (36-559 or L38004) to fit the 21 pin socket. This retails at £3.40 and can be obtained from your Bachmann dealer. Bachmann Europe PLC has today released its first ready to run diesel locomotive fitted with a sound decoder. The EWS Class 66 locomotive No. 66022 ‘Lafarge Charnwood’ is the first ready to run locomotive released by a major manufacturer to be fitted with a sound decoder. The sounds reflect the operation of the locomotive and include start up, acceleration, braking, buffer action, coupling, shut down and horn applications. David Haarhaus Sales & Marketing Manager of Bachmann Europe Plc said today “we have listened to our customers and following our successful introduction of DCC in 2005, we have been developing a range of DCC Sound locomotives. The first of these to be released is the highly popular Class 66 locomotive with the Class 20, 25/3, 47 and 55 diesels due to follow over the next few months. The Class 20 will be released next”. David continued “the sound fitted locomotives have already generated considerable interest when we have demonstrated them around the country. We expect that the high quality system matched to a very competitive price will result in a large number of railway modellers adopting DCC operations. With our next generation DCC system ‘Dynamis’ due for unveiling in January, we are confident that the switch to DCC will gather momentum very quickly. We will of course continue to support existing analogue systems”. The digital sound used in the model was recorded digitally from a real Class 66 locomotive and matches the sound activity in every respect. The installation of sound equipment has resulted in this locomotive being the first British ready to run locomotive to be supplied with a 21 pin DCC interface. The Class 66 with authentic digital sound will be available from dealers (Catalogue No. 32-725DS) at a cost of £157.70. A sound decoder and speakers are fitted as standard on this model. The locomotive will also operate on analogue (non DCC) systems but the sound system will remain silent. 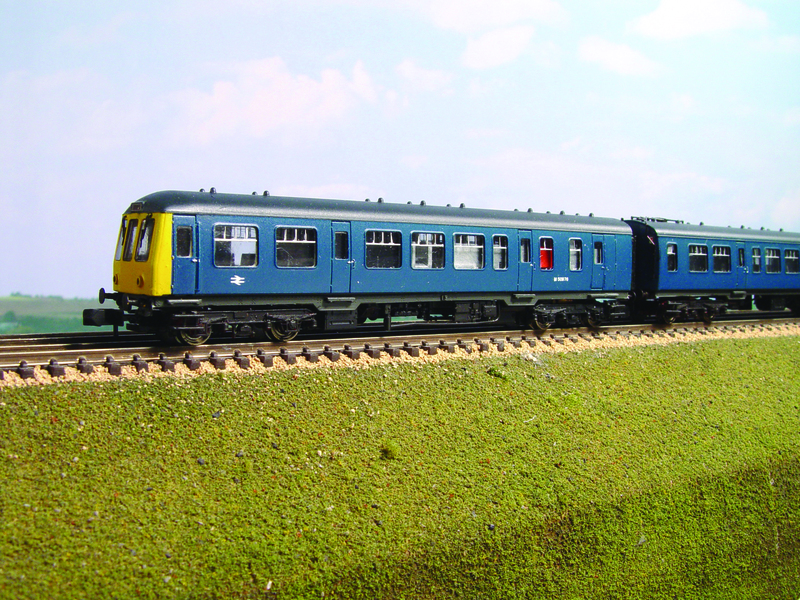 Bachmann Europe PLC has today released its new British Railways Class 108 diesel multiple unit at The Warley Model Railway Club’s Annual Exhibition at the National Exhibition Centre in Birmingham. Built by British Railways at its Derby Works, 147 two car, 5 three car and 6 four car units were built between 1958 and 1961. Totalling 333 vehicles (210 powered and 123 trailer cars) and were generically known as ‘Derby Lightweight’s’, although they differed considerably from the earlier batch built from 1954. They were allocated to the Eastern, North Eastern and London Midland Regions and saw service on a large number of routes around Bletchley, Carlisle, Chester, Crewe, Liverpool, Manchester, Newcastle, Nottingham, Preston and Sheffield. Each two car set could accommodate 117 passengers and they were ideal for use on local services and branch lines. They later became more widespread in their travels, some seeing service on the Southern and Western Regions. Vehicle No. 51562 was the 1,000th diesel multiple unit to be built at Derby Works. This vehicle has been preserved by the National Railway Museum at York. The first vehicle was withdrawn in 1964 as a result of accident damage. Most survived until the early 1990s when major withdrawal took place with the arrival of second generation units for Regional Railways. A number carried Network SouthEast colours and were used latterly on the Chiltern Lines (prior to the arrival of the Network Turbo units) and the Bletchley – Bedford line. The last unit was withdrawn in October 1963. Over 50 vehicles have passed into preservation for use on heritage railways. Three two car versions have been produced in British Railways green (32-900), British Rail blue / grey (32-902) and Network SouthEast livery (32-901). The unit is DCC ready, has directional lighting, illuminated roof boxes, a fully detailed interior and has full underfloor detailing. Both types of cab roof have been produced to allow the option of either type of headcode / destination boxes to be produced. The model incorporates a heavy internal weight which negates the need for traction tyres. Each unit has a Recommended Retail Price of £78.50.